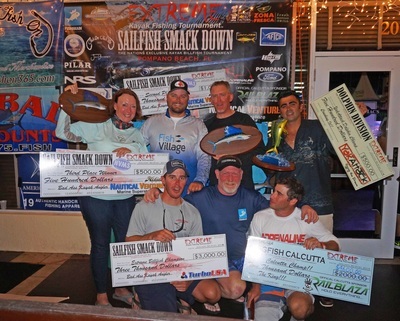 ​The Sailfish Smackdown Series in 2018 crowned two champions from Pittsburgh, PA. & Jacksonville FL. 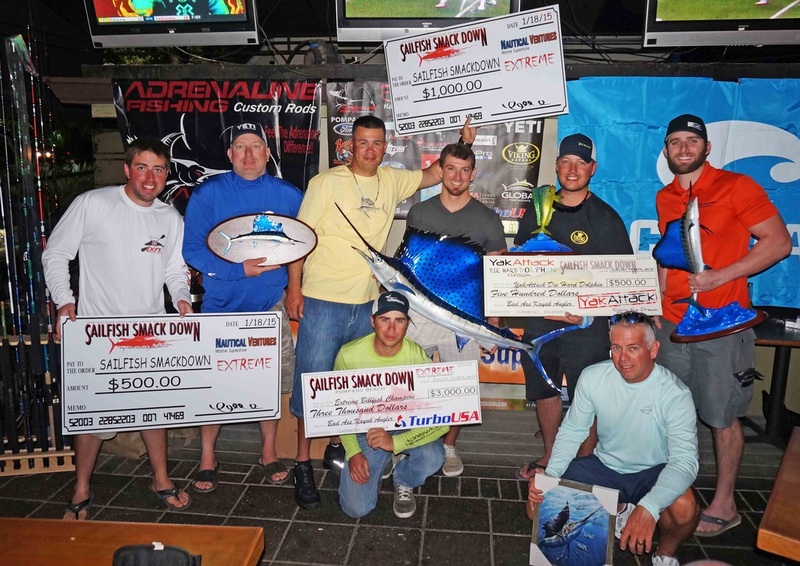 2018 marks the first time anglers from out of town won back to back tournaments! 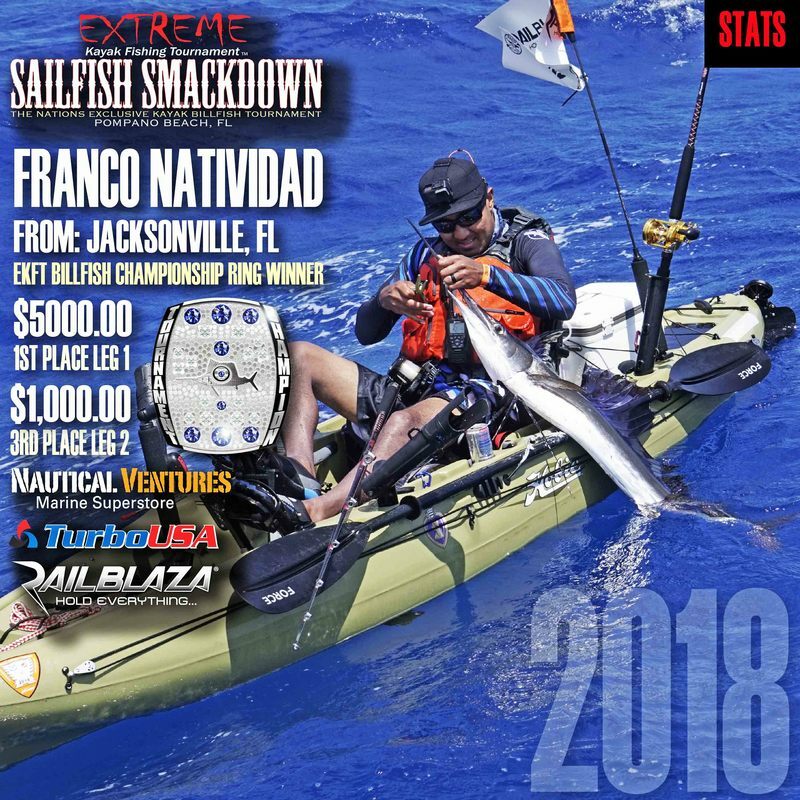 First time offshore angler Franco Natividad from Jacksonville, FL. 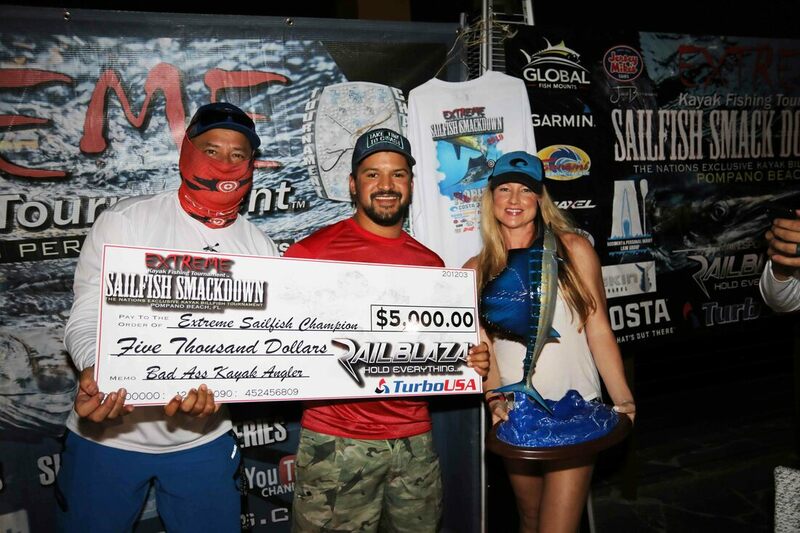 won Leg 1 taking home 5k from RAILBLAZA & Turbo USA and placed 3rd in Leg 2 winning $1,000.00 from Nautical Ventures Marine Superstore. 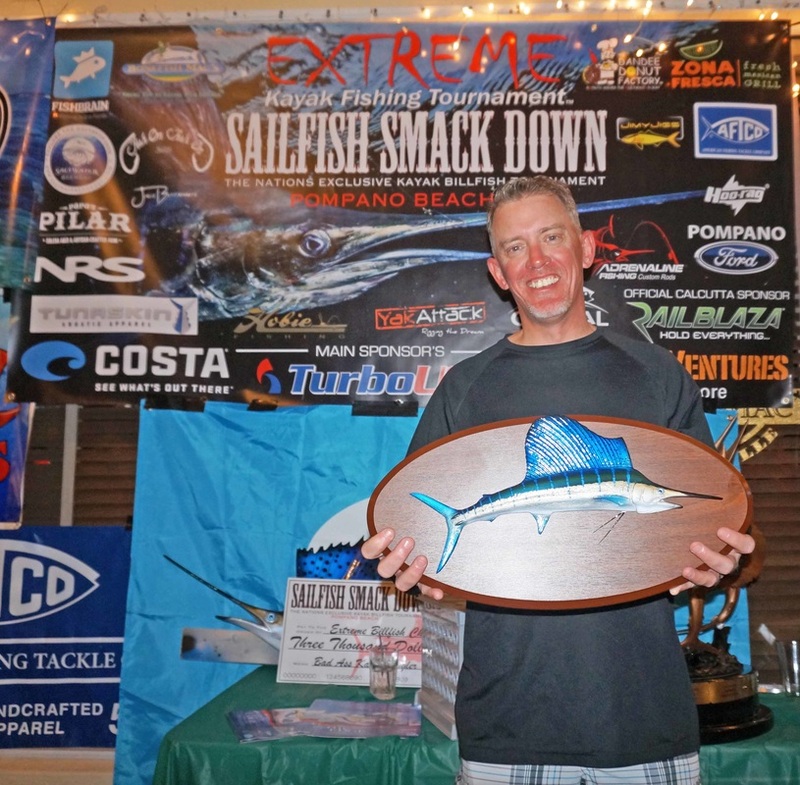 With the combined 2 Sailfish he took home the EKFT Billfish Championship Ring! Kayak Anglers battled rough seas and a surprise from Jacksonville emerged with the win! 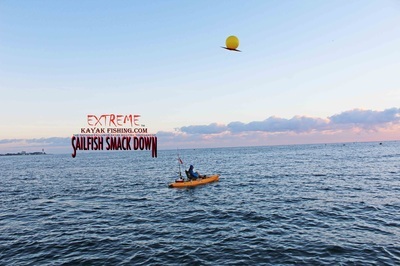 ​Battling three- to six-foot waves and attempting to reel in fish almost the same size as their kayaks, anglers took it to the extreme while competing in the first leg of the Sailfish Smackdown off the shoreline of Pompano Beach. 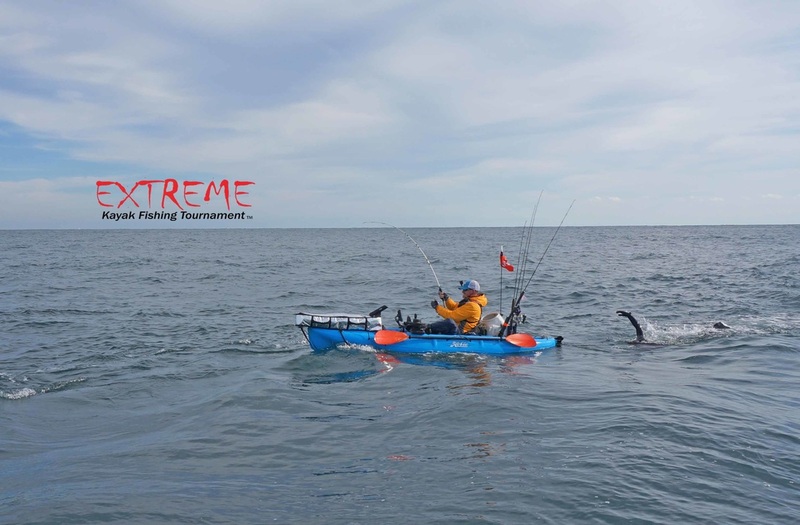 The Extreme Kayak Fishing Tournament certainly lived up to its name with over 60 participants braving the tough weather conditions to test their ultimate skills in the sport. Having $20,000 in cash and prizes up for grabs was an attractive incentive. 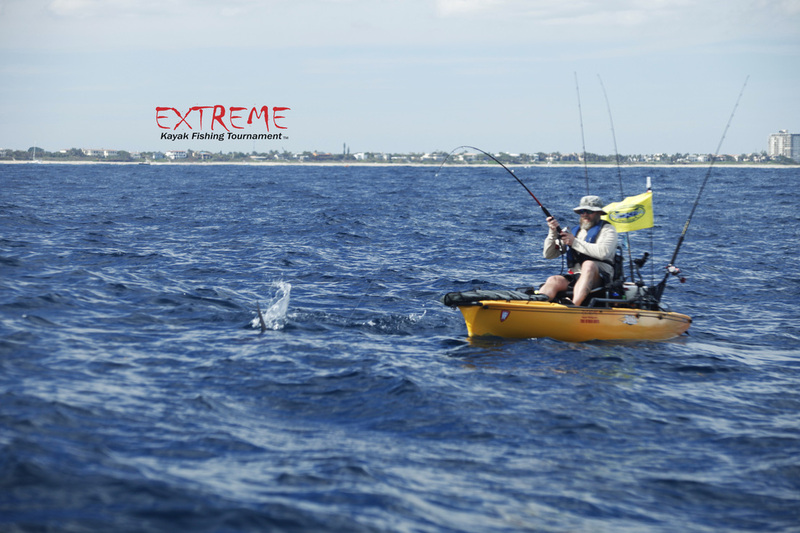 Even for the experienced kayak anglers, the challenging elements posed a big problem. 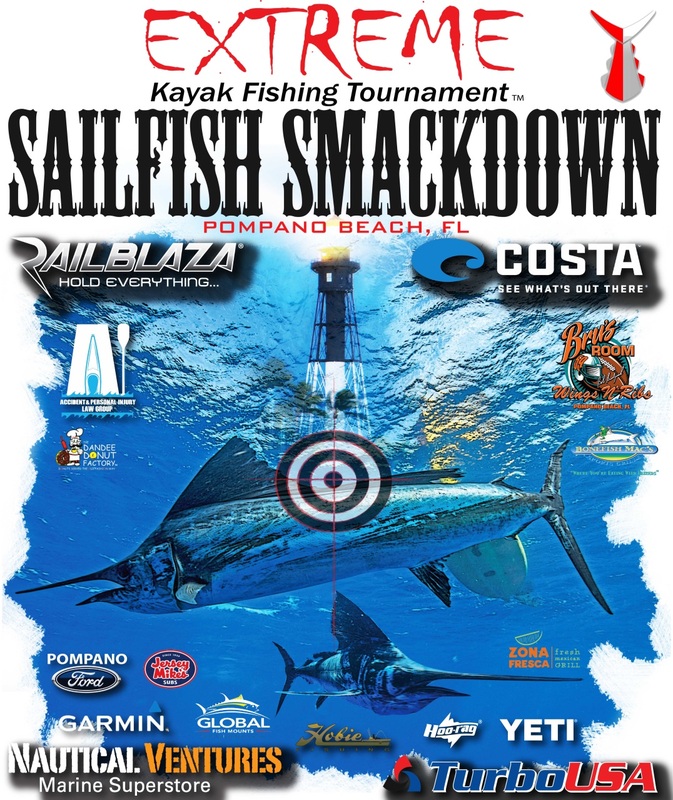 Sailfish Smackdown organizers were willing to postpone the event for a week, but the anglers voted to go ahead and give it a shot since there were many entrants from out of town and the delay might have forced them to drop out. 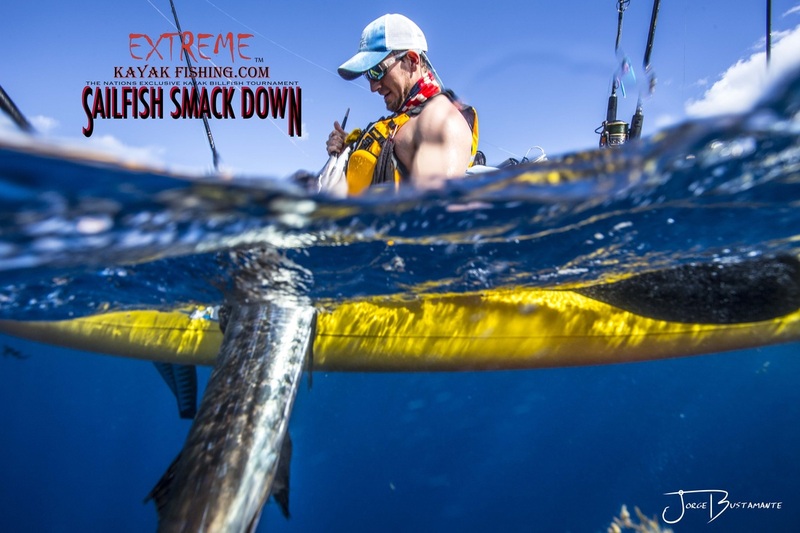 A winner is determined by the number of sailfish caught, and the tiebreaker is based on the earliest time the fish is caught. 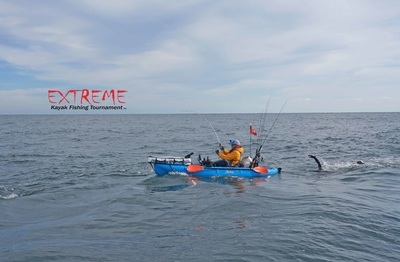 With the waves hitting hard against the fishing lines and creating extra drag, and not being able to paddle their kayaks toward the fish, the competitors faced great adversity. 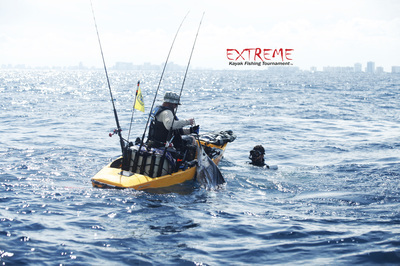 It was a challenge in itself just to keep the watercraft upright against the waves. 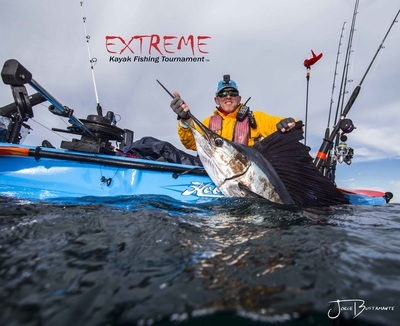 The determination to succeed impressed Extreme Kayak Fishing Tournament president and founder Joe Hector. "This was definitely the most challenging tournament we have ever put on, but also the most rewarding," Hector said. 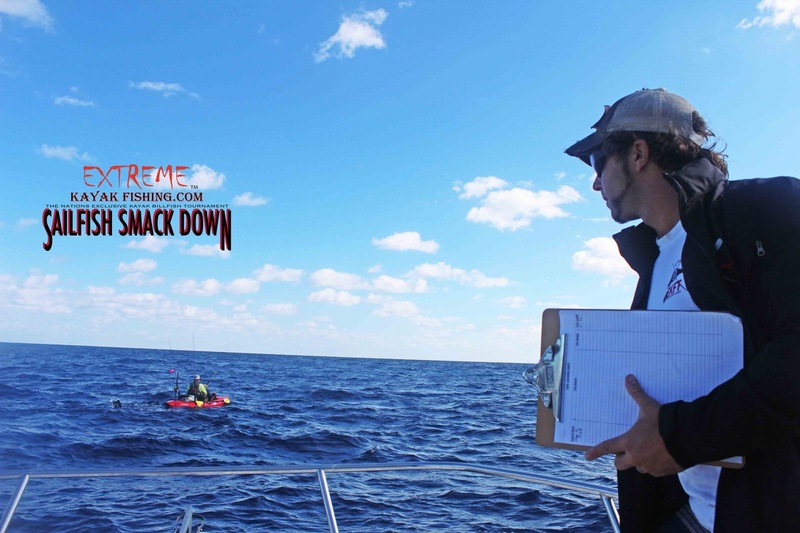 "In seven years, we never had to deal with something like this. These guys are the best of the best and we had a lot of safety boats out there. 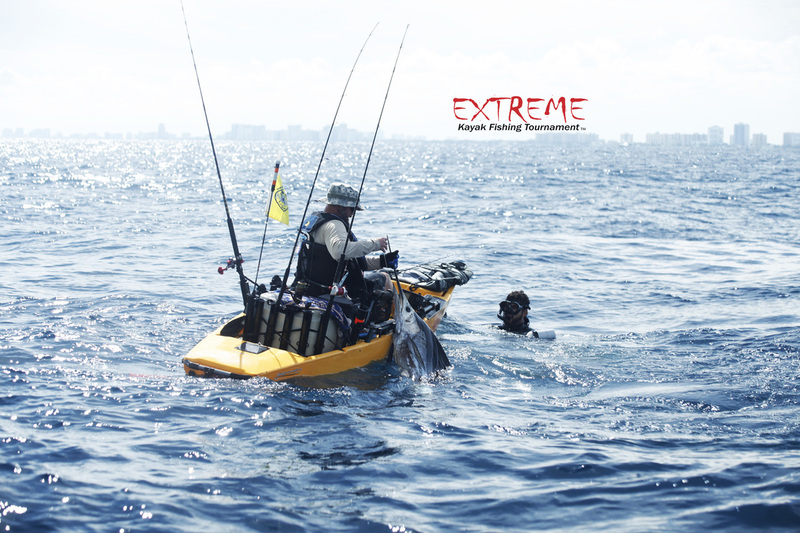 It was crazy and rough." 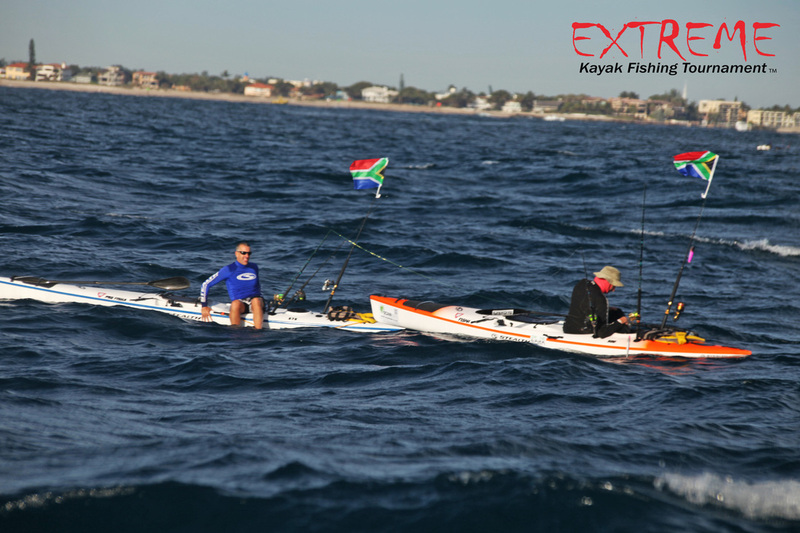 The conditions obviously caused a big downturn in the number of fish caught. 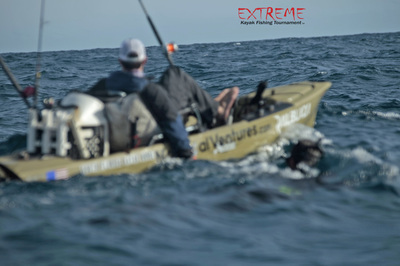 "We had a lot of fish lost because of the conditions," he continued. 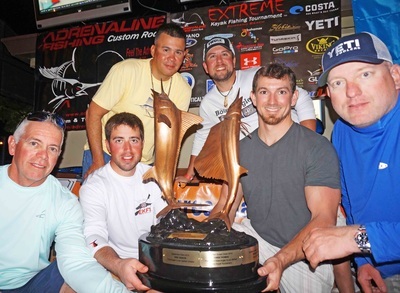 "(The weather) pushed the limits and showed what these guys can handle. It's pretty amazing." 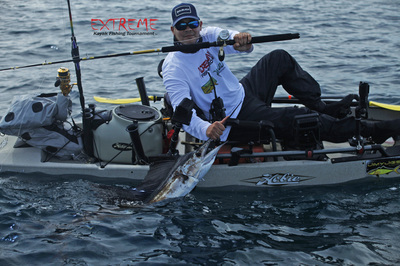 Franco Natividad took the top prize of $5,000 and he was also awarded the Global Fishmounts Sailfish Trophy for his catch during the first day of the weekend action. 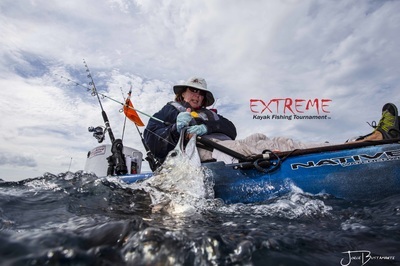 The longtime bass fisherman was entering uncharted territory as it was his first time participating in the extreme kayak event. 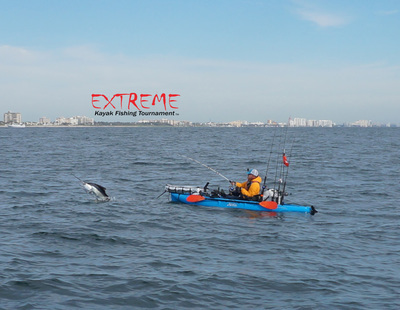 "I'm hooked now," an excited Natividad said. 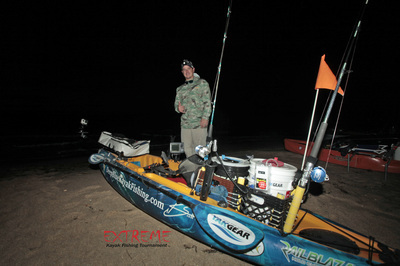 "I never kayak fished before and didn't know what to expect. 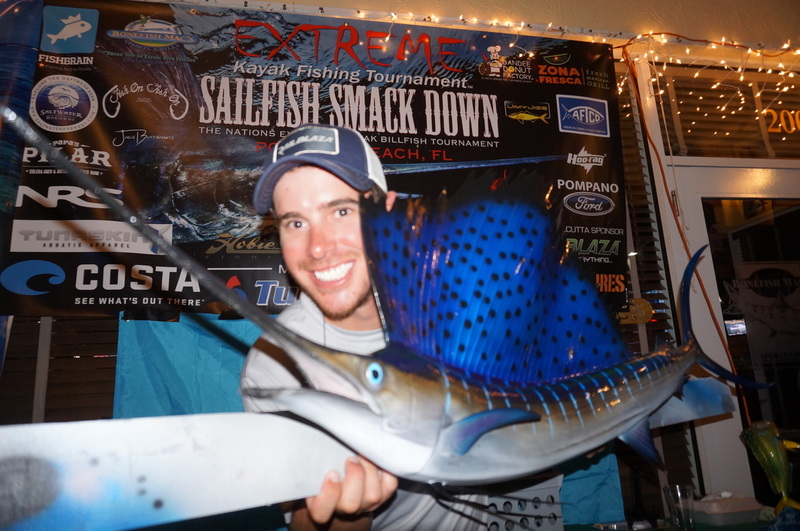 The sailfish took me for (quite a) ride and I had a battle for 40 minutes before bringing it to the side of the boat. I was exhausted and excited. 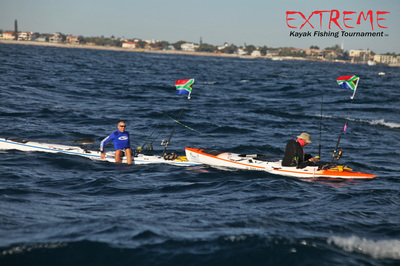 The conditions were pretty rough and the farther you went out the bigger the swells. I'm still getting use to the tides and currents." 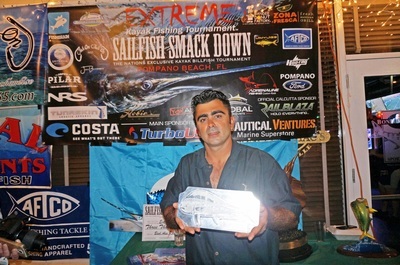 Rob Rodriguez finished as the runner-up and took home $2,000 plus a sailfish plaque. 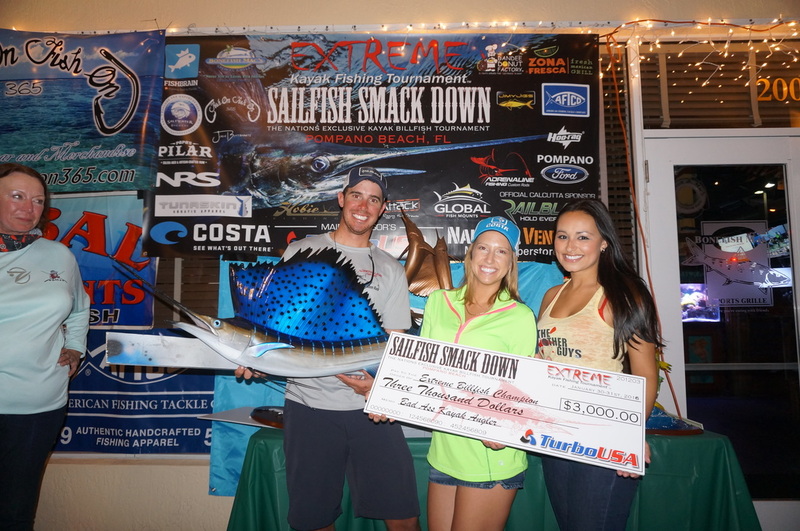 Third place went to Texas angler Erik D'aloise, who won $1,000 and a sailfish plaque. 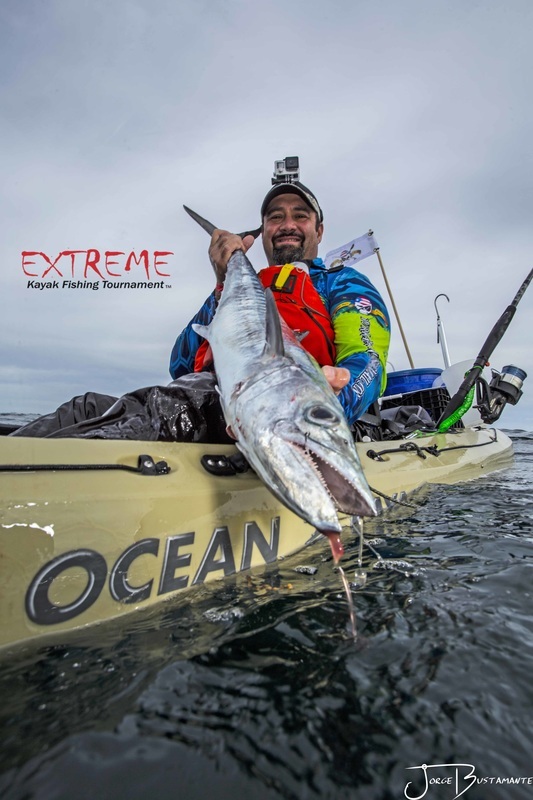 Rodriguez is an experienced fisherman and guide who has been an avid kayak angler for over a decade. 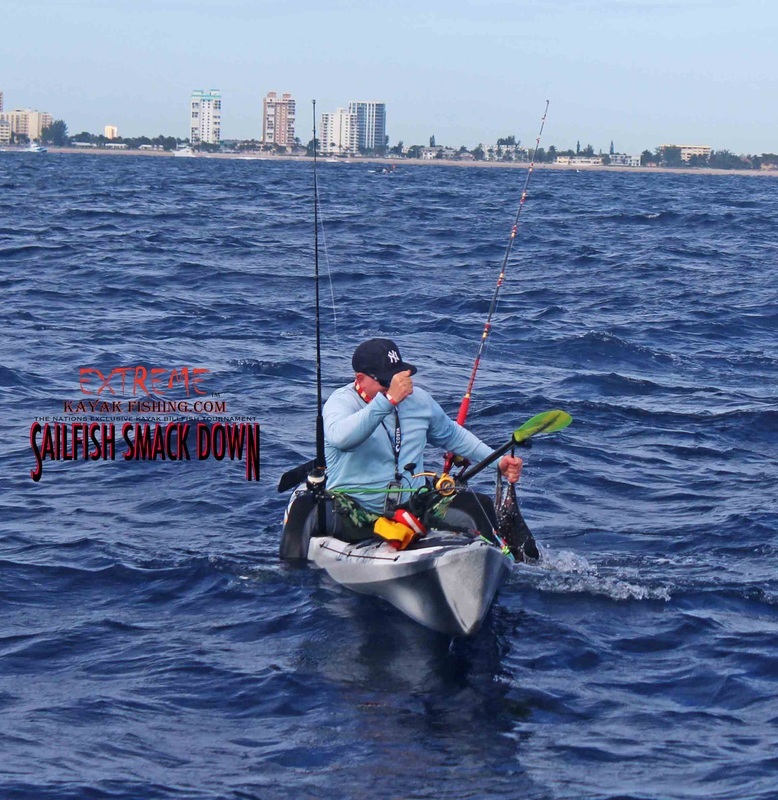 He use to fish out of Dania Beach and is very familiar with the local conditions. 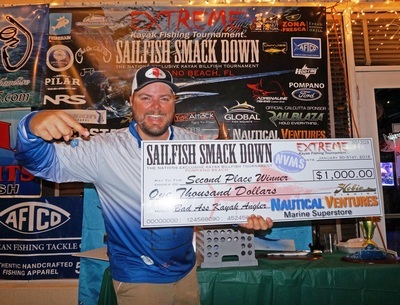 He has placed in four of the five Sailfish Smackdown tournaments he entered, with three second-place finishes and a fifth-place showing. 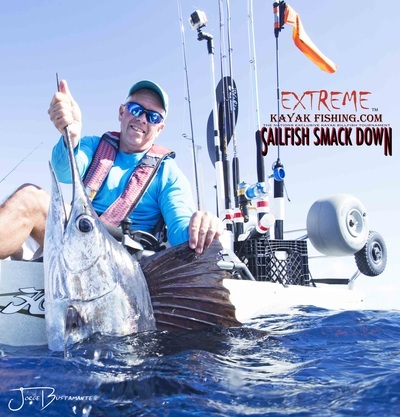 "I caught my 60 to 70 lb. 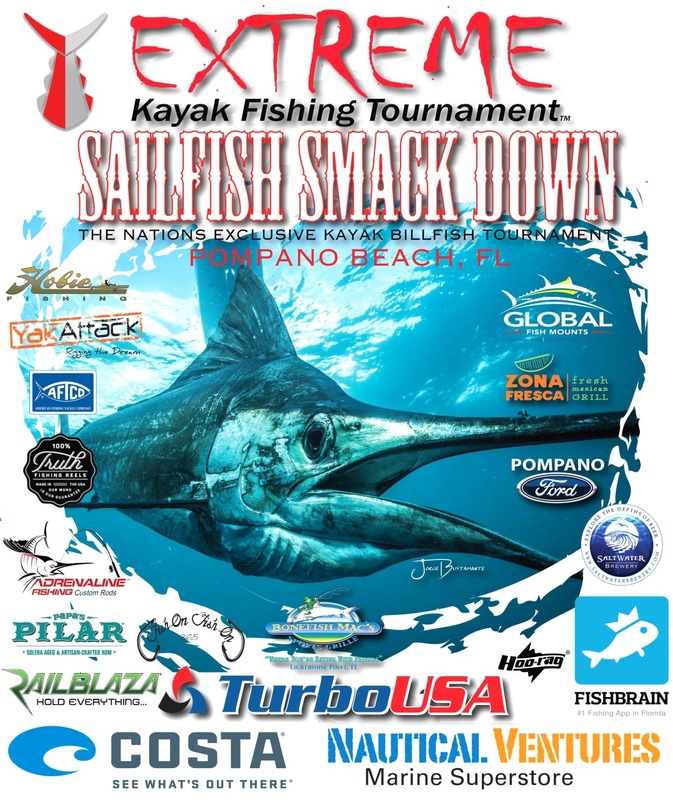 sailfish on the second day of the tournament," Rodriguez said. "Most experienced kayak fisherman will call in "sailfish on" when you have eyes on the catch and know it's an actual sailfish. I have caught many sailfish and know by the feel what kind of fish has been hooked. 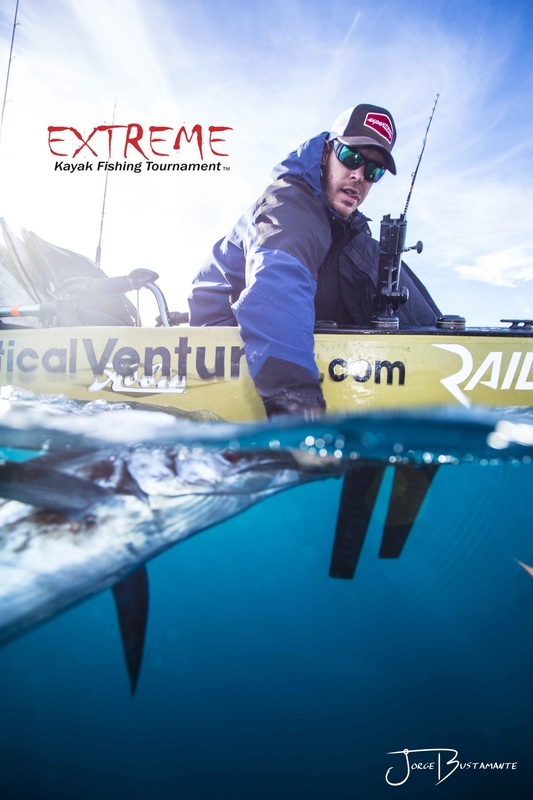 They don't fight or run like regular fish." 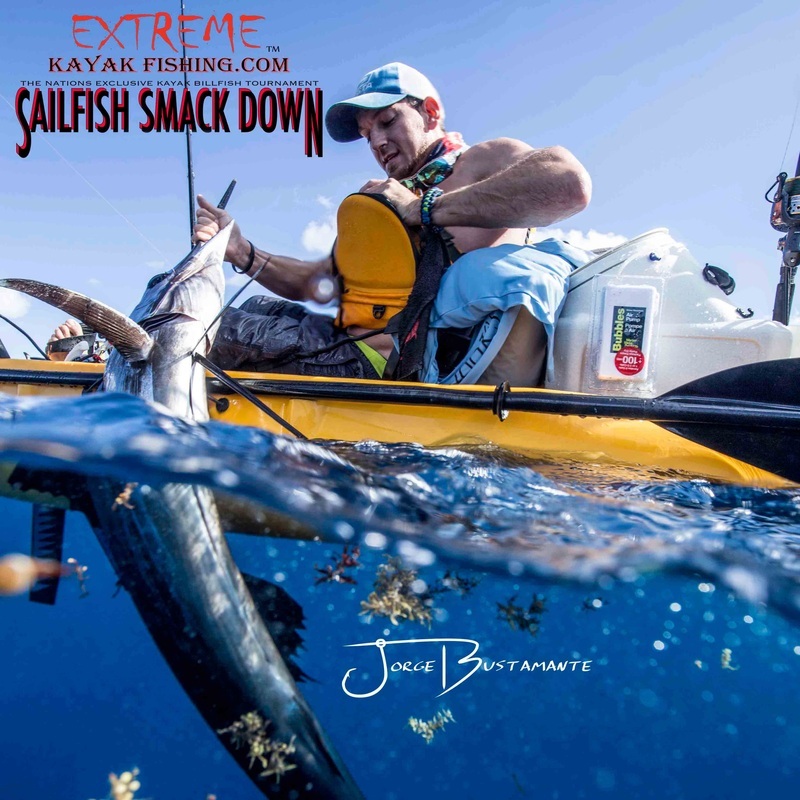 ​After catching the biggest dolphin in last year’s Extreme Kayak Fishing Sailfish Smack Down, Benny Scoca was sold on kayak fishing. “I won a check and that just got me hooked,” said Scoca, of Sunrise, who had never fished a kayak tournament before. He did even better this past Saturday and Sunday, catching and releasing a record four sailfish to win the tournament out of Pompano Beach and the Turbo USA $3,500 first prize. Three of the fish ate live goggle-eyes and the other ate a live pilchard, which he got from tournament supplier Hillsboro Inlet Live Bait. 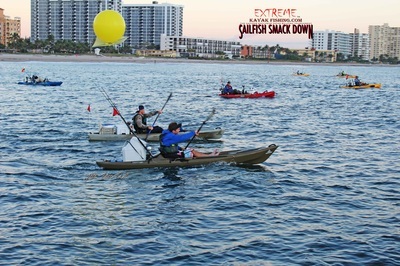 The sails were caught on 20-pound spinning and conventional outfits. 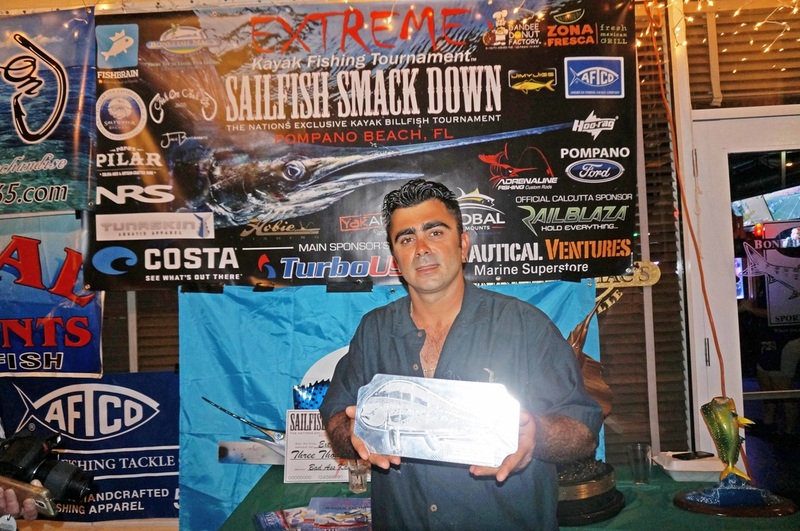 Robinson Rodriguez was second with two releases and won $1,000 from Nautical Ventures. 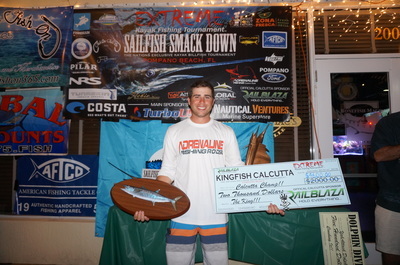 John McKroid Jr. won $500 for third place from Nautical Ventures with two releases. Richard Chavis was fourth with one sailfish to win a free three-night stay and transportation to this year’s Battle in the Bahamas tournament. Mitchell Murphy was fifth and won sunglasses and Nick Weber was sixth and won a $100 AFTCO gift card. Andrew Imes caught a 24-pound kingfish to win the RAILBLAZA kingfish calcutta and $3,000. Tournament director Joe Hector said a record 17 sailfish were released and another 22 were hooked and lost over the two-day tournament. A licensed captain and freelance mate who does fishing charters and also competes in offshore tournaments, Scoca said that catching fish all the time from a boat got a little old and he lost his passion for the sport. 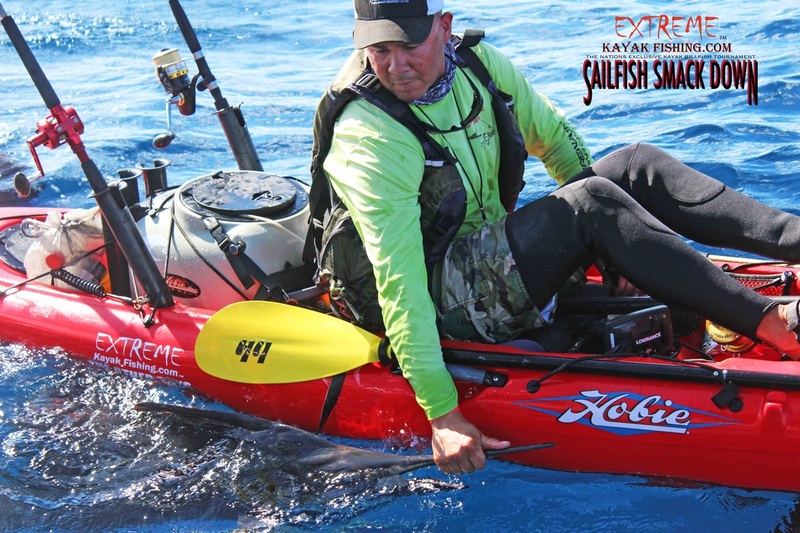 Fishing on a kayak is totally different. 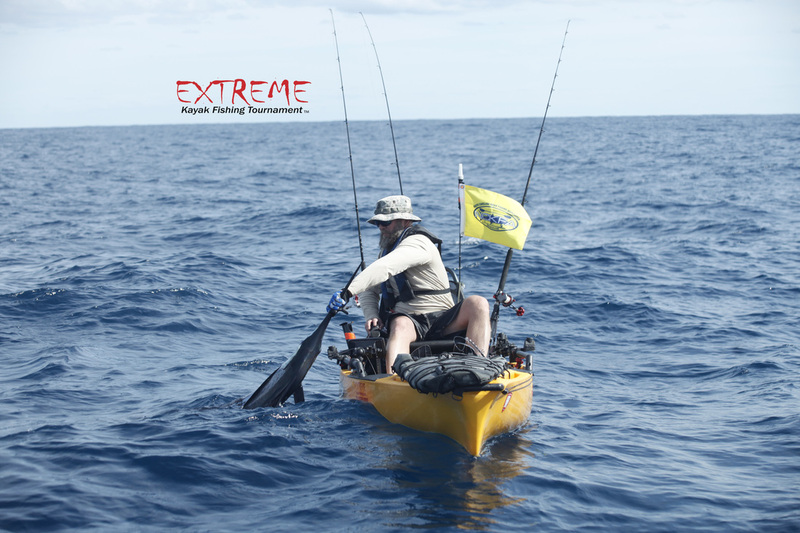 As he noted, you are the captain, mate, angler and gaff man on a kayak. 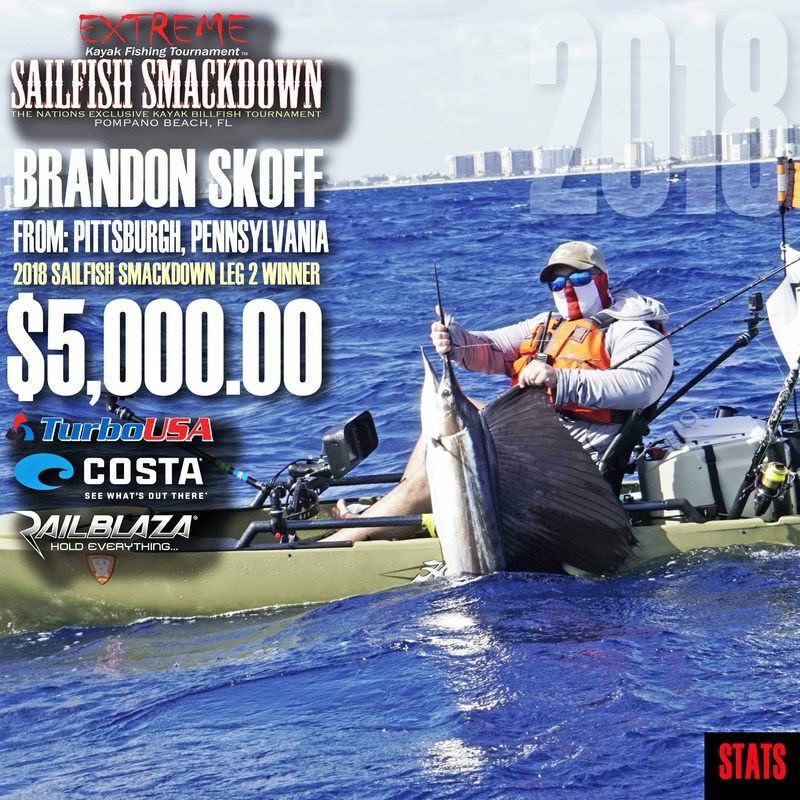 “You get in a kayak, you get that passion back,” Scoca said, adding that he has now fished in five kayak tournaments and finished in the money three times. 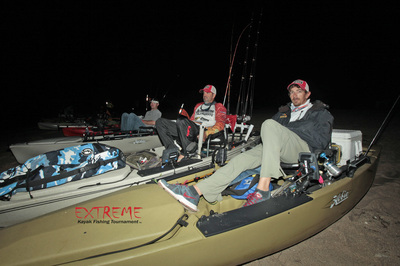 Scoca, 33, said a strong north current was an issue Saturday. 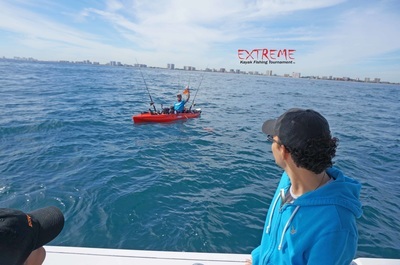 Fishing in a Hobie kayak that he rented from Deep Blue Kayak Fishing Charters in Boynton Beach, Scoca hooked a sailfish in 140 feet off Pompano Pier where a lot of wrecks are located. 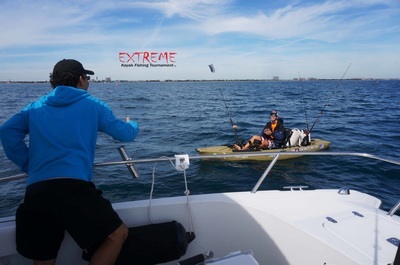 The fish dragged him out to 400 feet, where the current was 5 knots, and by the time he touched the leader to get the release, he had drifted almost to Deerfield Pier. 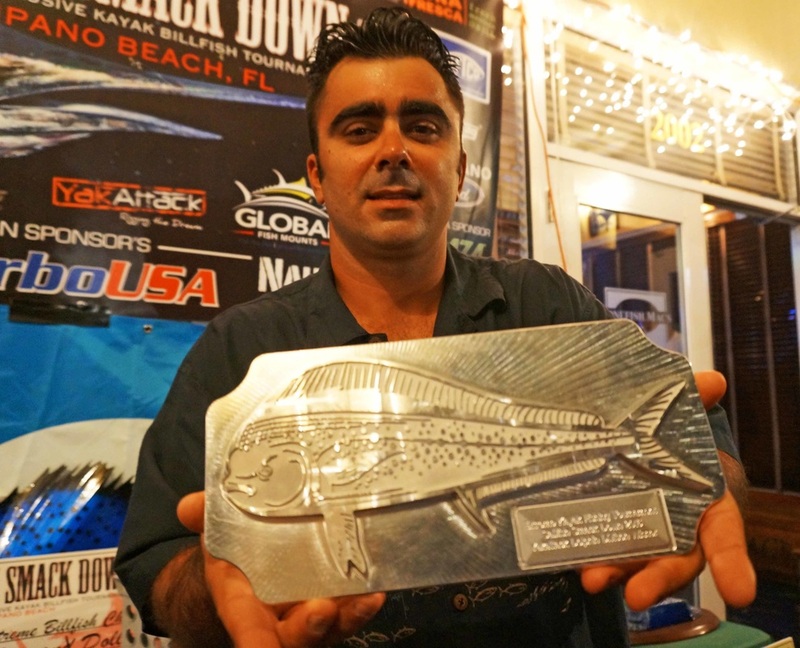 “It put up the toughest fight of the four fish I caught,” Scoca said. 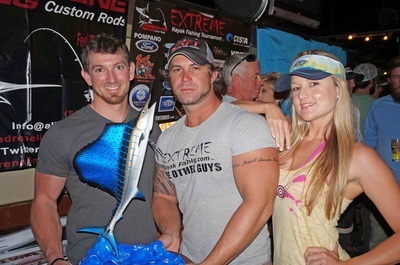 That sailfish was the fourth and final one caught on Saturday and no one had more than one release. That meant that whichever of the four anglers caught the first fish Sunday would take the lead based on time. As soon as he got there, he hooked a sailfish and quickly released it to take the lead. 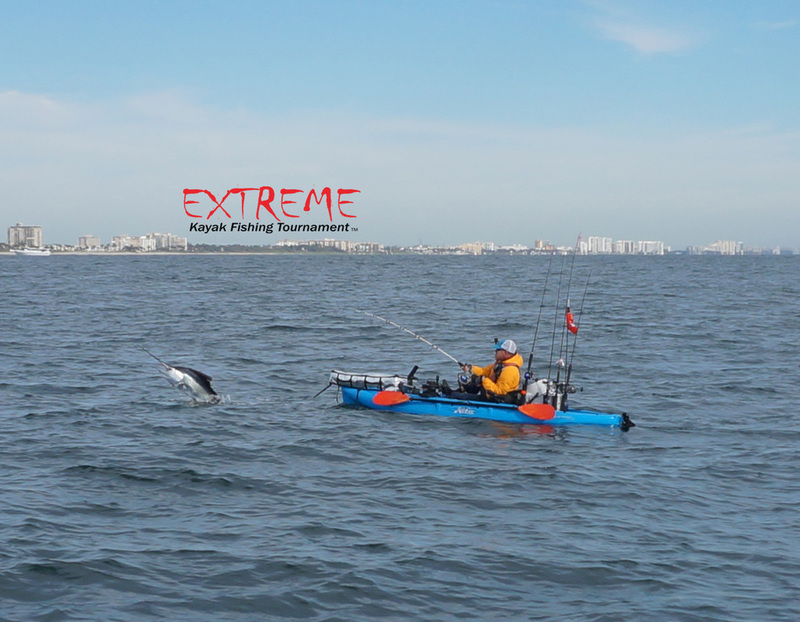 He went back to the spot and immediately hooked a third fish and released it north of Hillsboro Inlet. 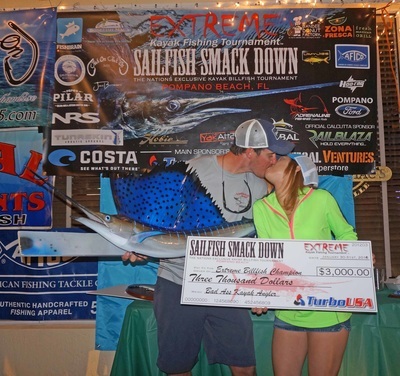 “At that point I knew I sealed the deal. 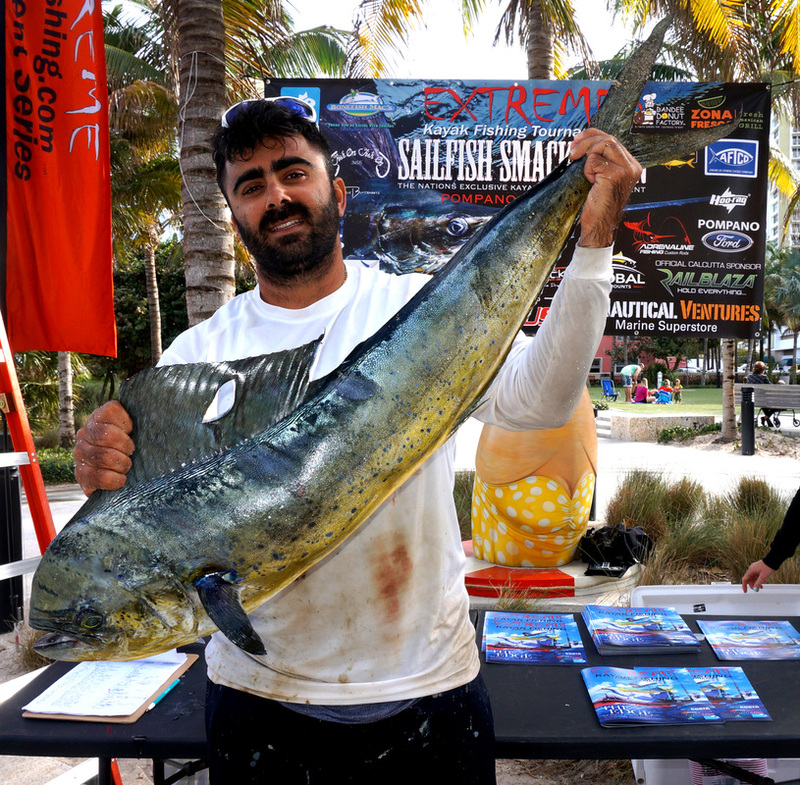 My second fish would have won on time,” said Scoca, who needed 90 minutes to get south of the inlet. He put a bait in the water, headed east and hooked his fourth sailfish in 90 feet. 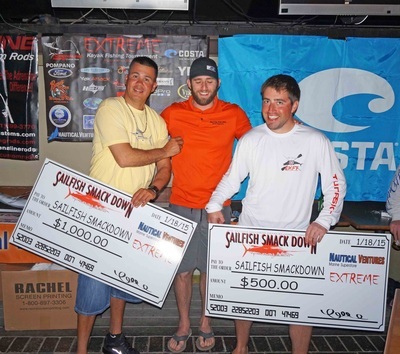 The three catches set a one-day tournament record. 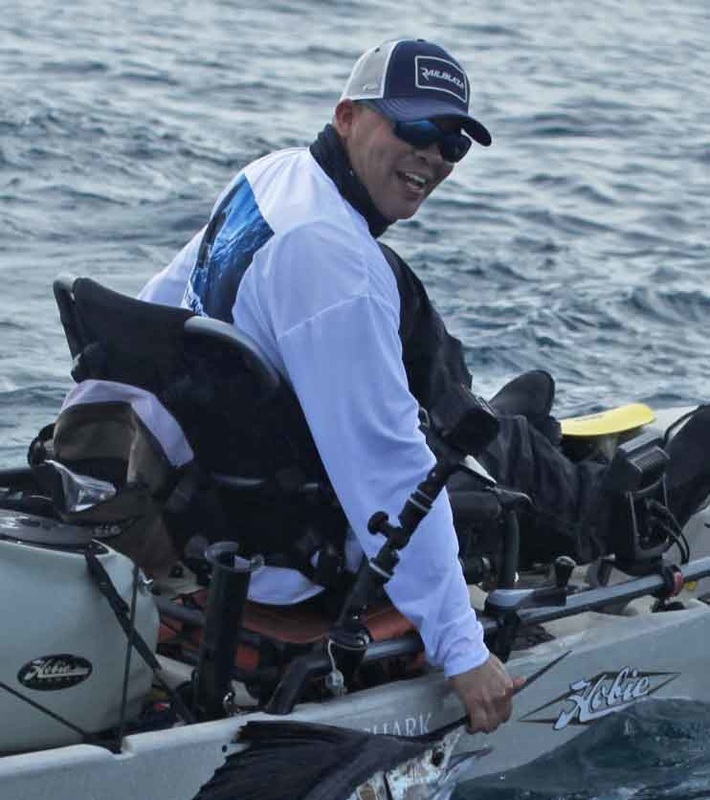 Losing a sailfish close to the boat is one of the worst things that can happen to a tournament angler, but Austin Collins didn't lose hope. 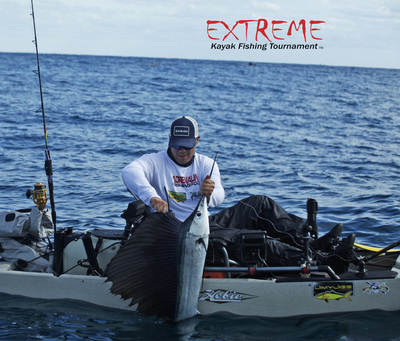 It took 24 hours for Collins, who remained patient and positive, to get another chance and he made the most of it, catching a sailfish Sunday afternoon to win the Extreme Kayak Fishing Tournament Sailfish Smack Down out of Pompano Beach. "It was exciting and terrifying," said Collins of having the winning sailfish on the line, "especially after what happened to me on Day 1." 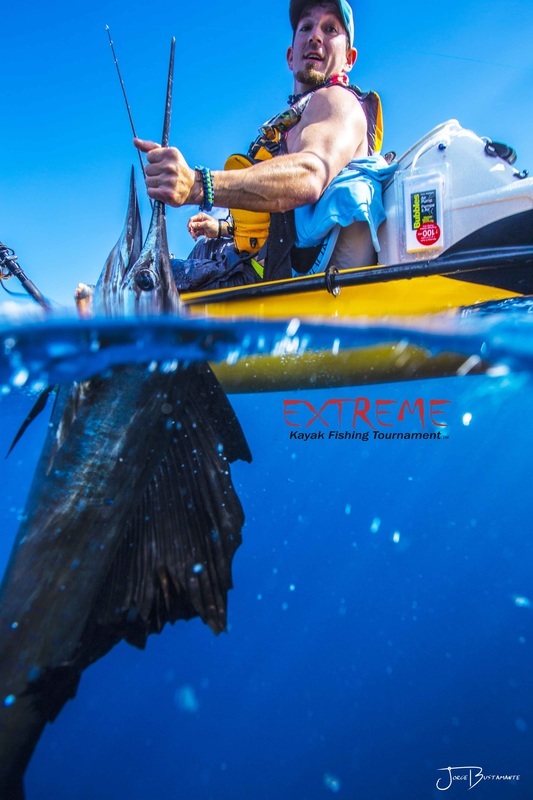 Collins, of Delray Beach, was the first of the 87 kayak anglers from throughout the United States, Canada and South Africa to catch and release a sailfish Saturday. That put him in the driver's seat because, unlike traditional sailfish tournaments where the tie goes to the boat that caught its last fish first, the tie in the Smack Down went to the person who caught his or her first fish the earliest. 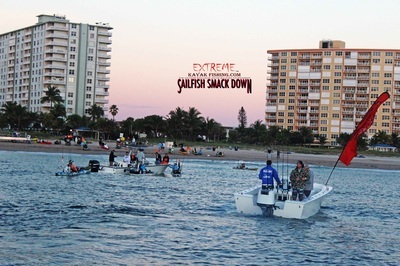 Collins released that sailfish at 9:07 a.m. 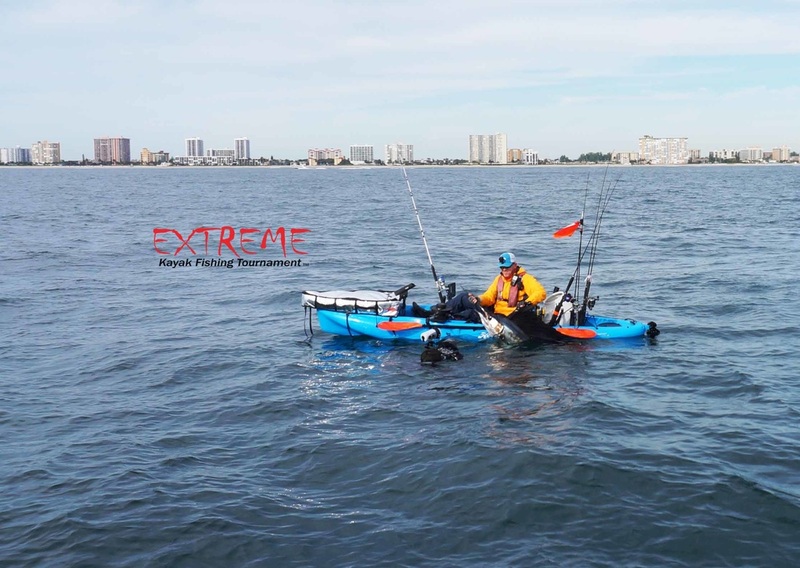 He had launched his Hobie Mirage Pro Angler kayak south of Pompano Pier. 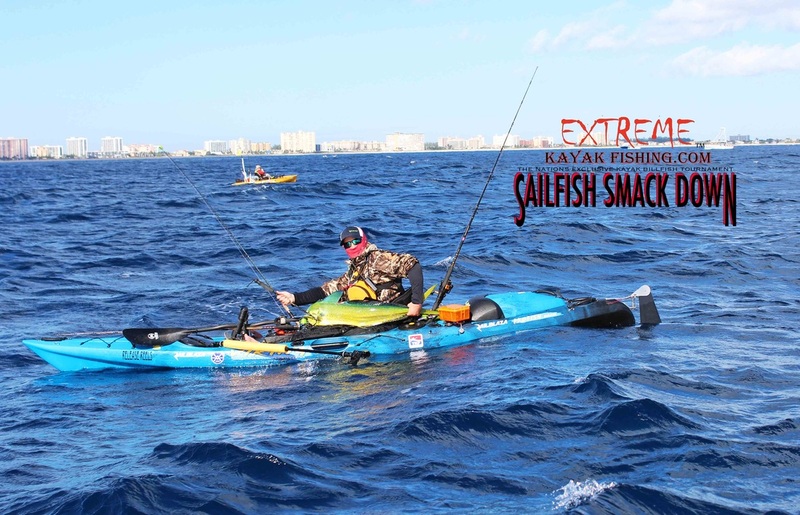 Slow-trolling north with live goggle-eyes behind his kayak on the surface, one on a short line and one on a longer line, he hooked the fish in 140 feet just north of Hillsboro Inlet. 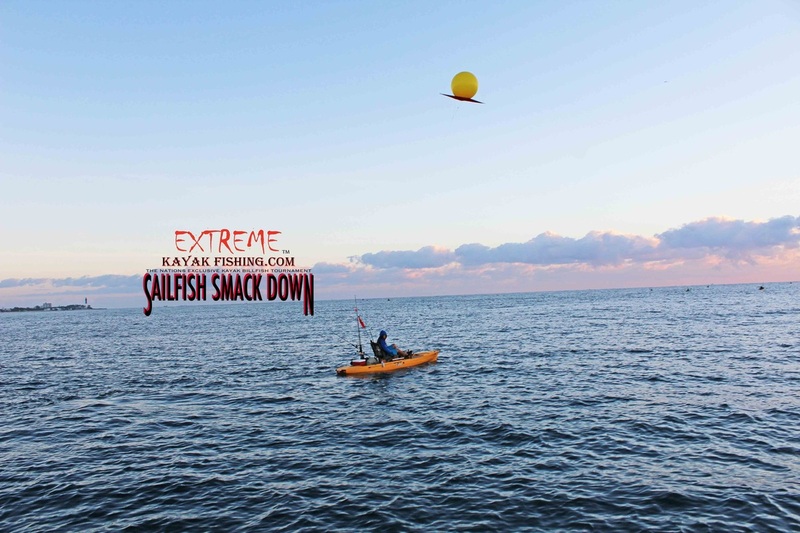 "The second I turned around he was already airborne," said Collins of the fish, which ate both of his baits. 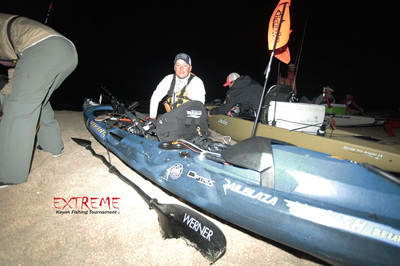 "It was a little hectic. I had to risk cutting one line so I could fight it on one rod." 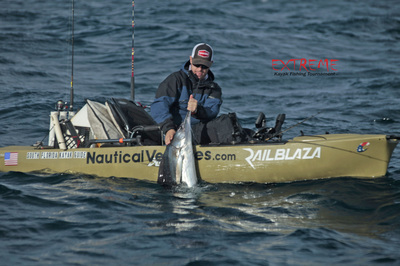 ​Collins went with the stronger of his two hooksets and the fish towed him and his kayak out to sea. "He took me pretty deep. 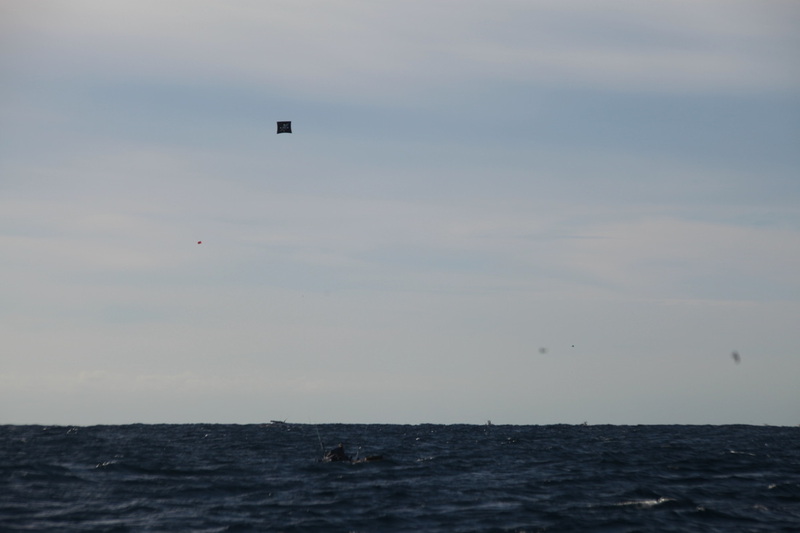 I don't think I landed him until 280 feet," Collins said. 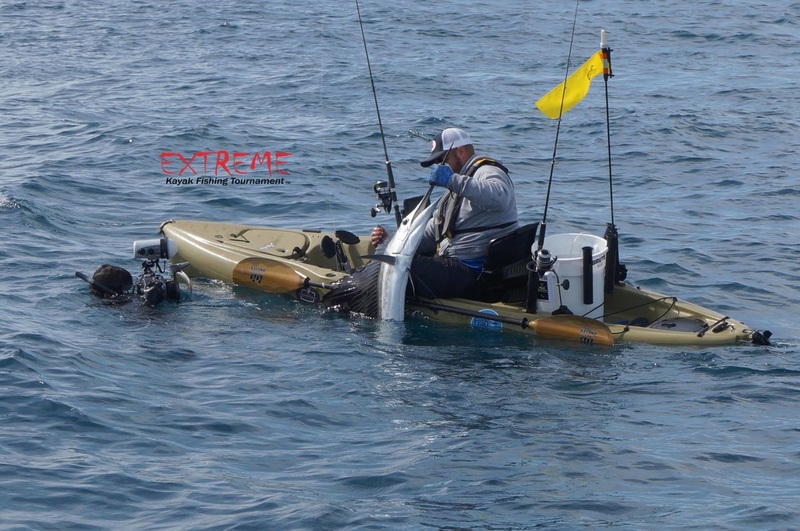 "The fight was probably about 15 minutes. 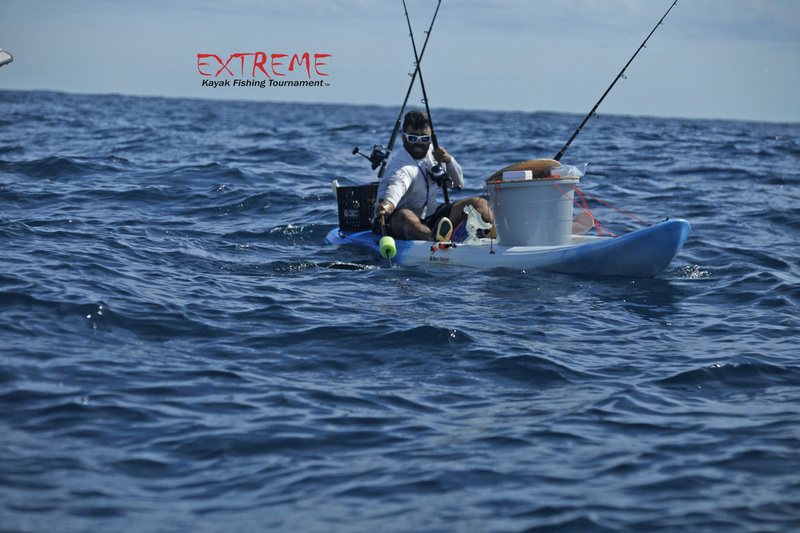 It was a medium-size sail, so it didn't whup me too bad." 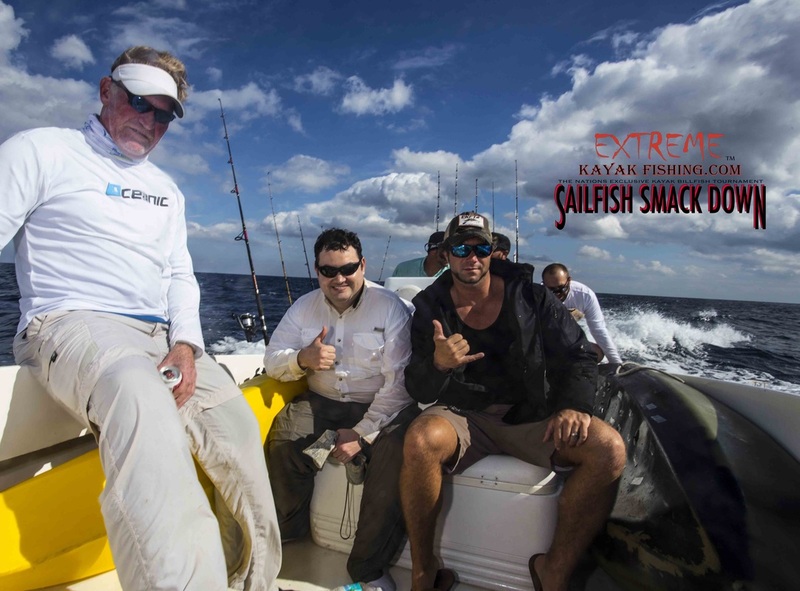 Anglers had to report all sailfish hook-ups and releases on a VHF radio, so Collins knew he had the first sailfish of the tournament. 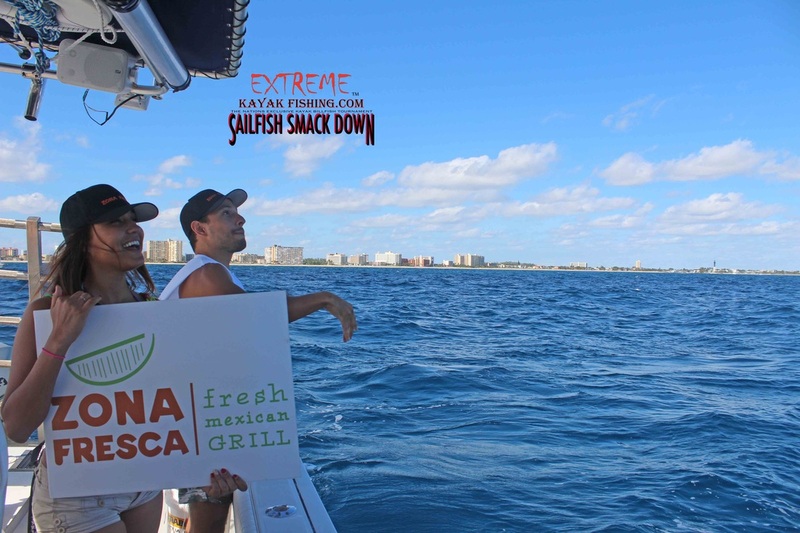 Derrick Benton released the second sailfish 28 minutes later. 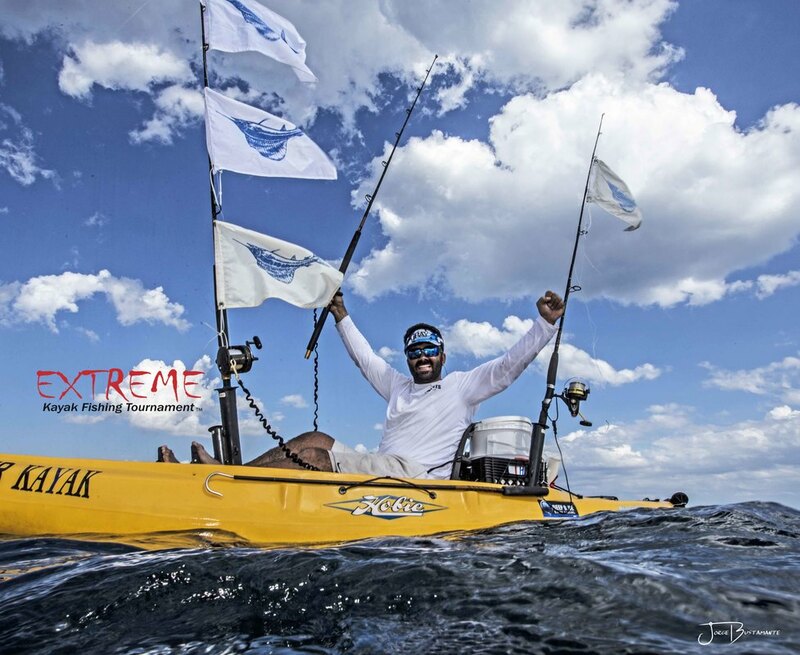 Rob Rodriguez of South Florida Kayak Guide, which runs fishing and diving kayak trips, released the next sail at 11:01, followed by Brian Nelli at 11:14. Two other anglers released sails at 12:40 and 1:25 p.m. As the 3 p.m. lines out approached, Collins hooked a second sailfish at 2:45 in 80 feet off Hillsboro Inlet. 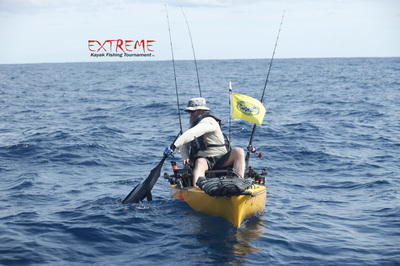 He got the fish to his kayak and reached for the leader to make the catch official, but he missed and the sail got away. 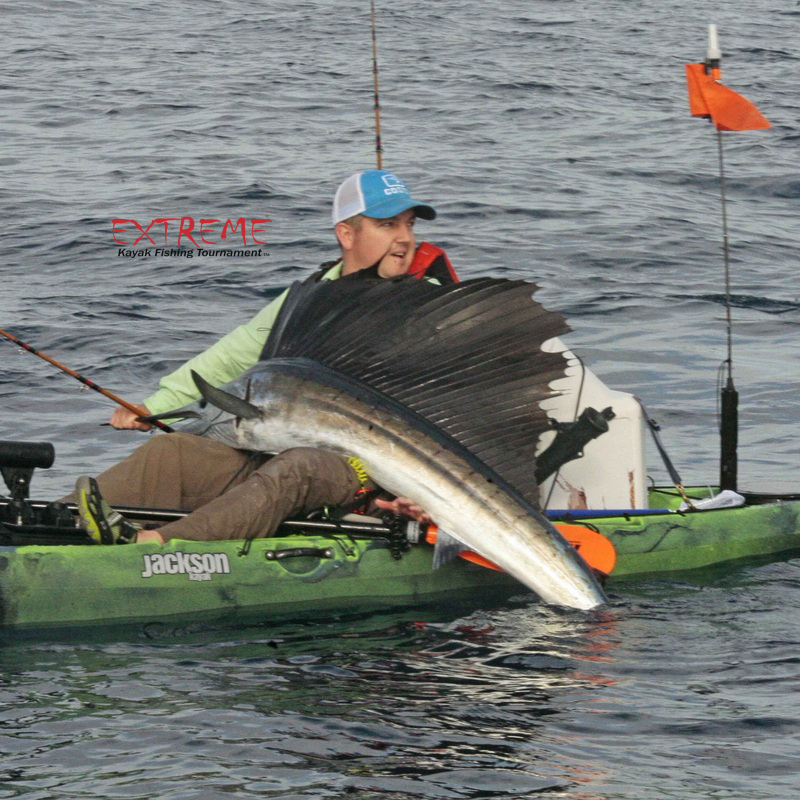 "It came off the hook right next to the kayak," Collins said. 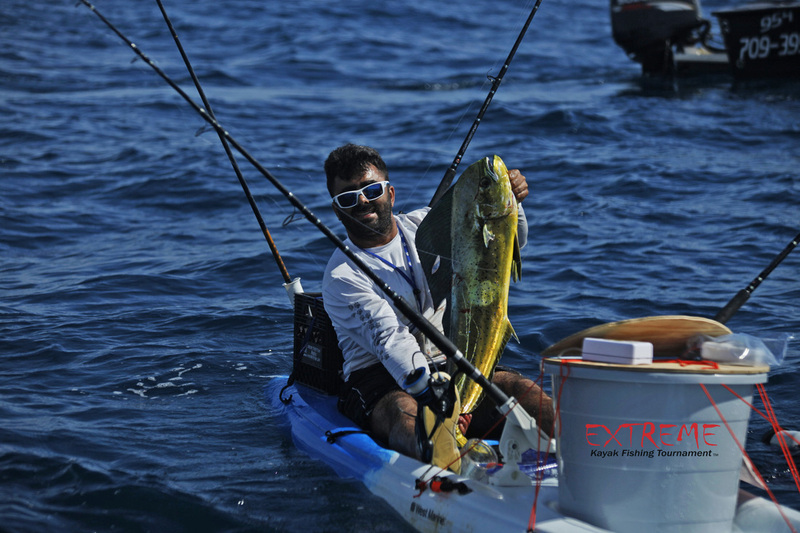 "The leader was a foot from my fingertips for that fish to count. 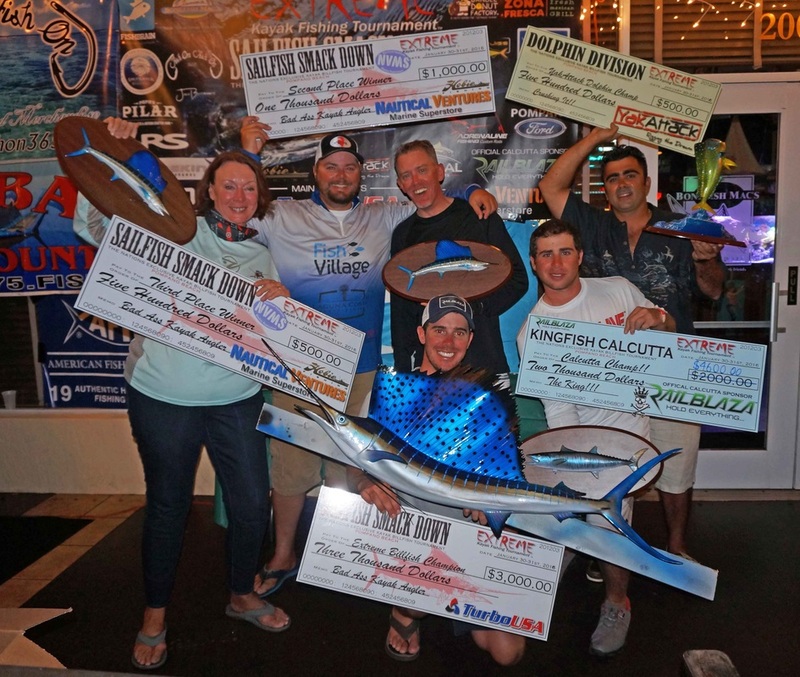 ​Fishing was slow on Sunday, then things got crazy, with seven sailfish releases in the final two hours of the tournament. 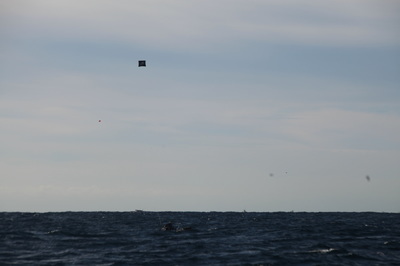 Pam Wirth got two of them, at 1:09 and 1:45, to take the lead. 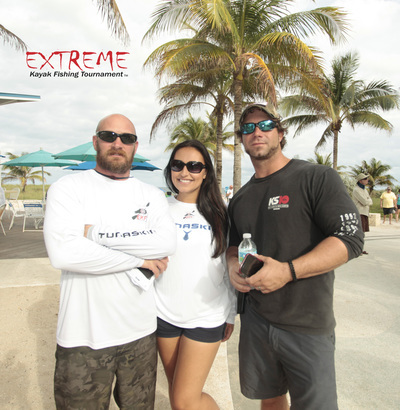 Then Nelli took the lead with his second sailfish of the tournament at 2:13. 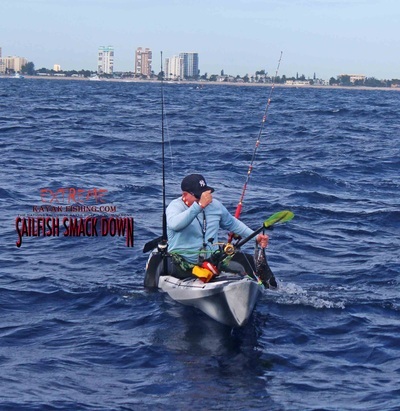 Suddenly in third place, Collins didn't panic and he didn't go north to get in on the bite. Instead, the former Florida Atlantic University golfer, who works with Rodriguez when he's not working in the bag room at Seagate Country Club in Delray Beach, figured the sailfish would swim south towards him. 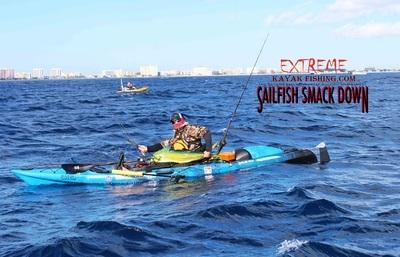 He was right, getting a bite at 2:40 p.m. on a goggle-eye on the short line in 154 feet. "I had to trust that the fish were moving south. 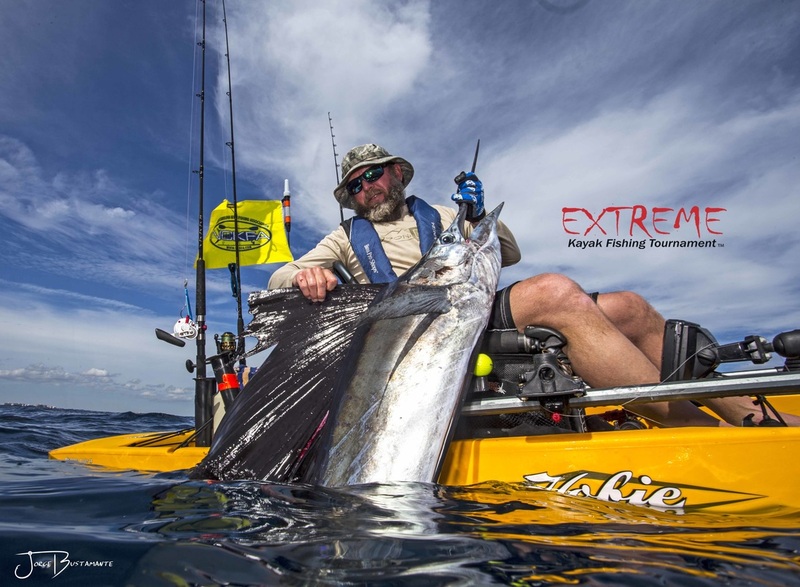 It reassured everything that I was hoping for," Collins said. 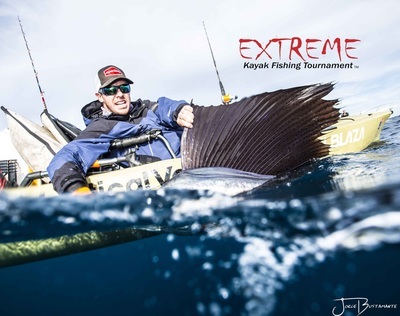 The fish took Collins out to 390 feet and he released it at 3:04 – "The first chance I had at the leader I was able to do it" -- then hurriedly paddled his kayak back to the beach to make the 4:30 p.m. check-in deadline. For the victory, Collins won $3,000 and a Global sailfish mount, which he said will go on a wall inside his new house. Nelli won $1,000 for second. 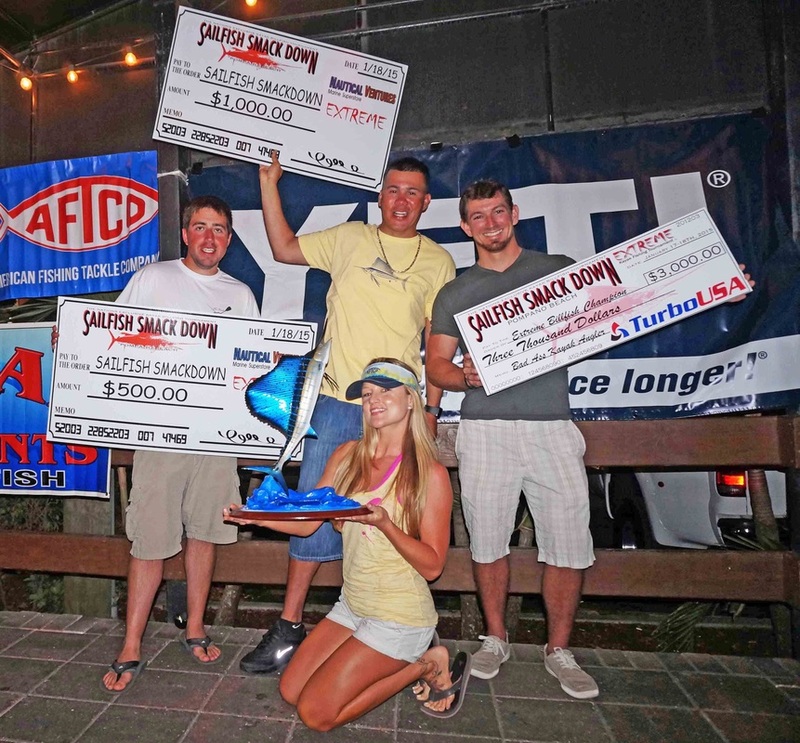 Wirth won $500 for third and the women's division, which earned her free entry into EKFT's Summer Slam series. 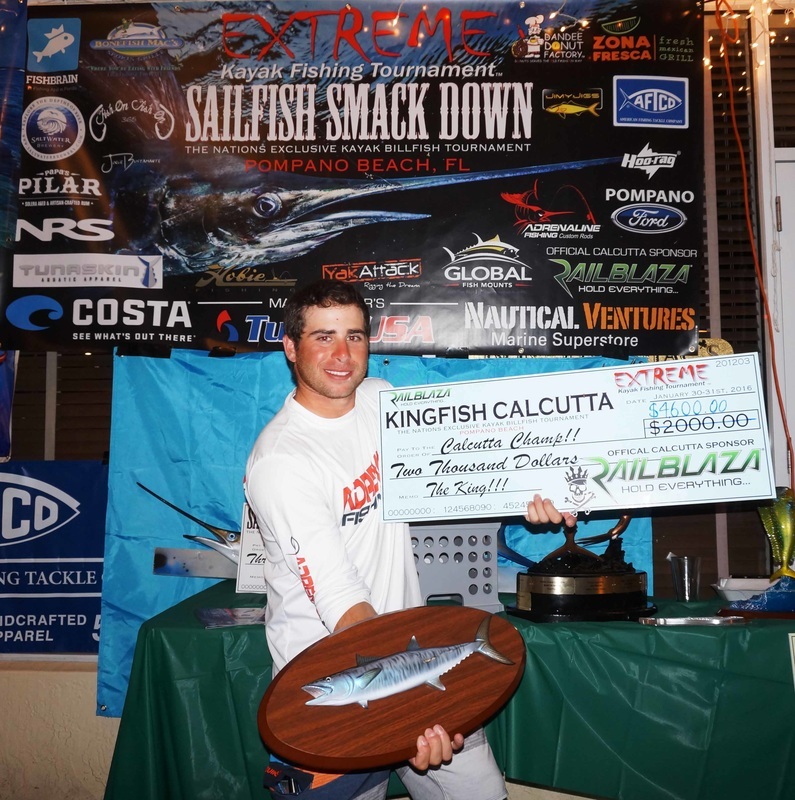 Brandon Meltzer won the Railblaza Kingfish Calcutta and $4,600 for an 11.8-pound king. 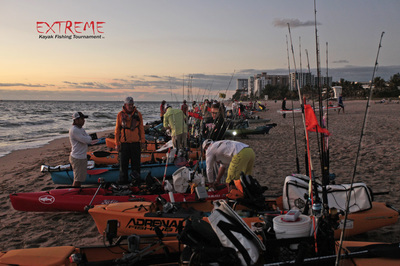 Saturday, January 17 was the first day of the Extreme Kayak Fishing Tournament, and the anglers were amped as they arrived to the Pompano Pier launch site. 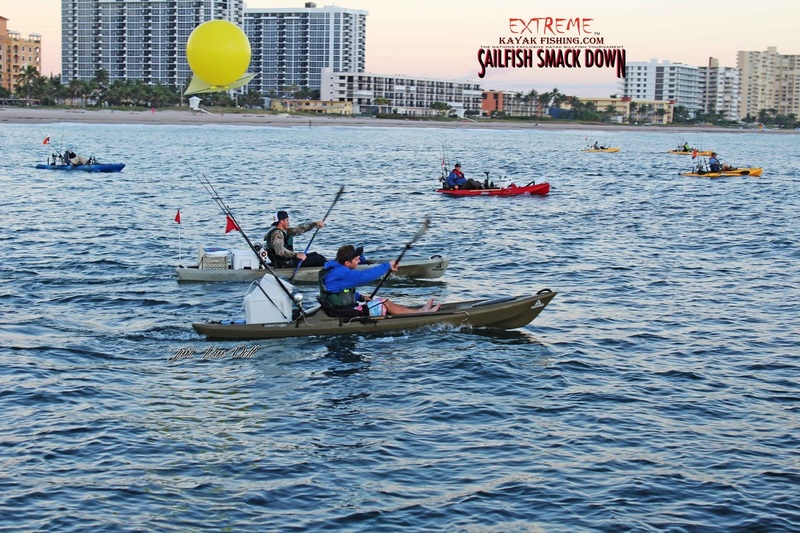 You could feel the energy and excitement as they geared up their kayaks. 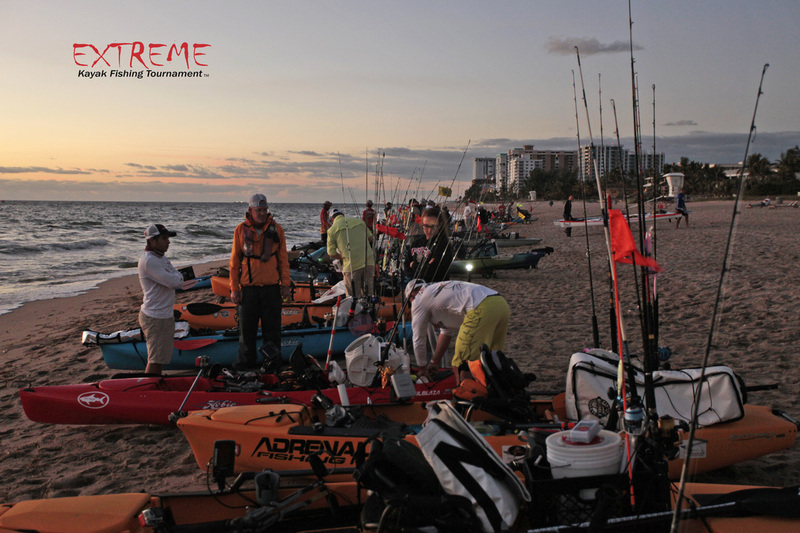 Dandee Doughnuts provided the anglers with caffeine and carbs to fuel them for the long day offshore. 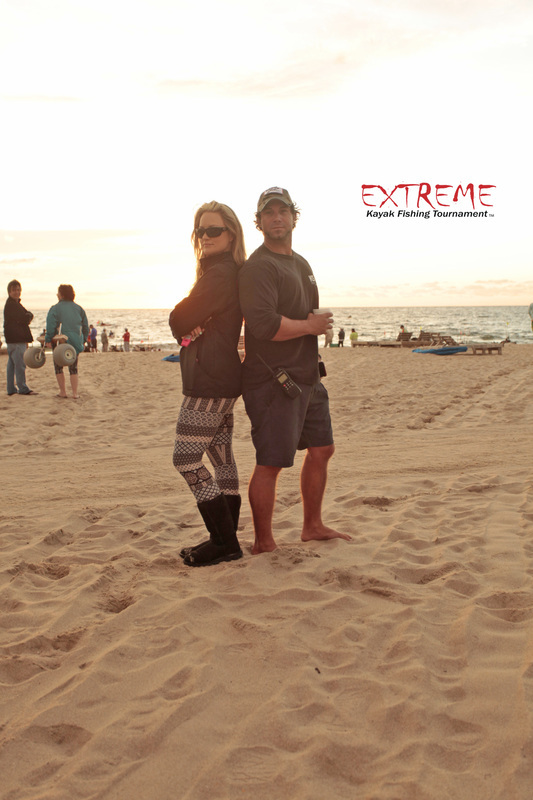 The rising sun in the east signaled shoot off was near. As the countdown approached and the DJ blasted AC/DC from the speakers, everyone knew it was time to launch! Jon Venarchick from Naples, FL, a newcomer to the offshore kayak fishing scene, blew up the VHF radio with “Fish On ! 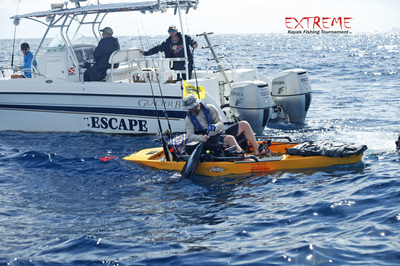 As the help boats raced over to document his sail, another angler hollered over the radio. Rob Rodriguez from Sunrise, FL had a fish on. 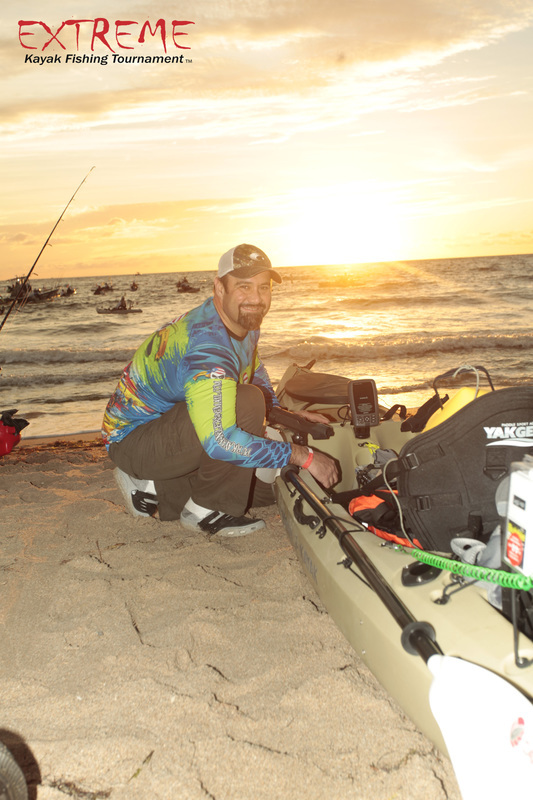 The help boats split up to help assist each angler. Venarchick was the first to land his sailfish at 10:33am.Rodriguez was not far behind, landing his fish at 11:02 am. 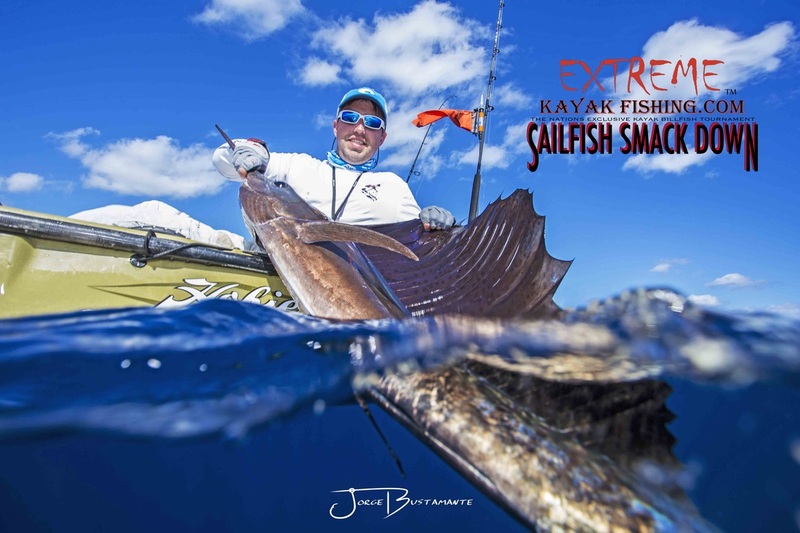 Not long after both sailfish were released, Joe Kraatz was hooked up. 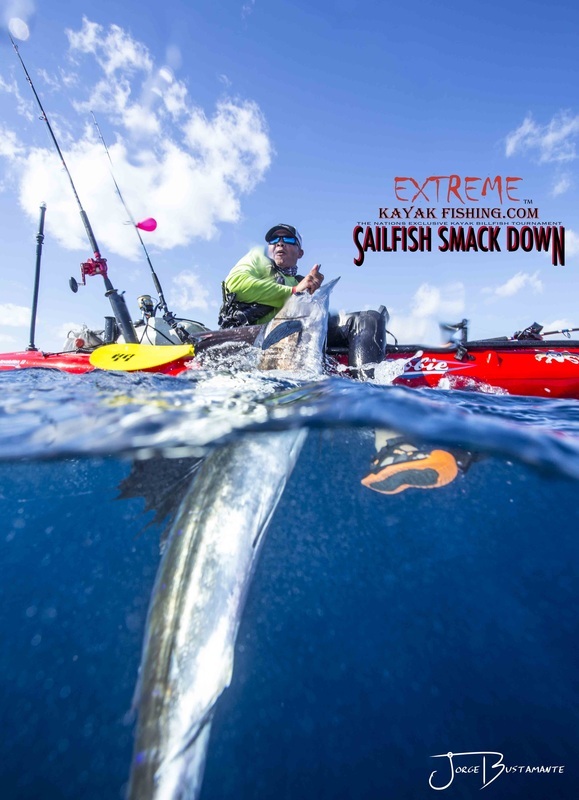 Kraatz landed his sail at 11:52am.Two more sailfish were hooked and lost, including one more by Kraatz; he thought he might take the lead from Venarchick, but the fish was lost halfway through the fight. 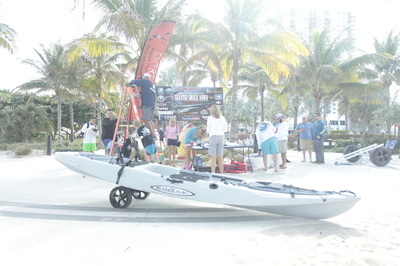 After the chaos of that morning and as noon was approaching, the Zona Fresca girls made their way out on the water, and tossed freshly-made burritos to the hungry anglers. 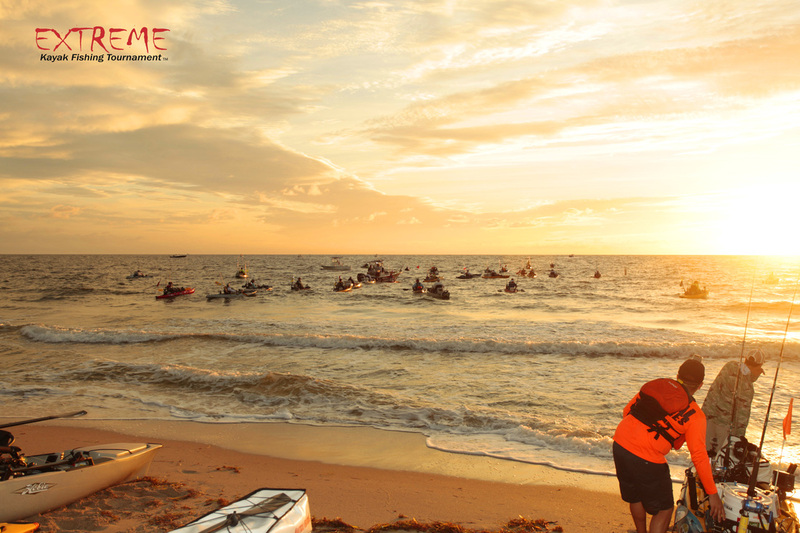 On day two, the fishermen were determined and in great spirits. The morning was cool and the ocean like glass as they all lined up on the shore. Most of them got a head start as they made their way towards the bait boat, and once the horn sounded they were gone. The morning started out fast as Brian Whelan hooked up to his sailfish at 9:00am. 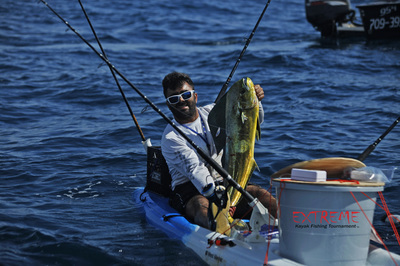 and touched his leader at 9:35am. Whelan was excited knowing that if he landed one more fish he would take the top spot. 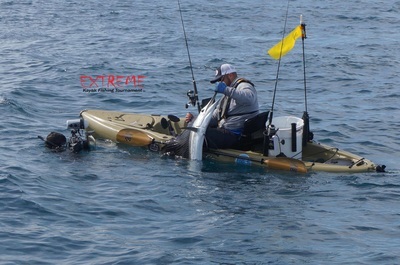 This almost happened two hours later, but unfortunately the second fish was lost. 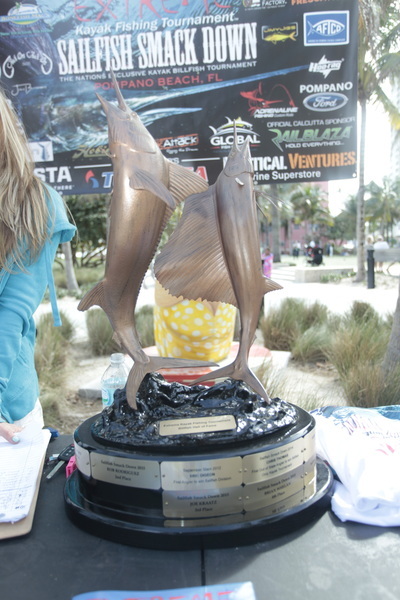 The final sailfish of the day was caught by Lynn Hall from Oklahoma; he landed his prize at 11:05am. 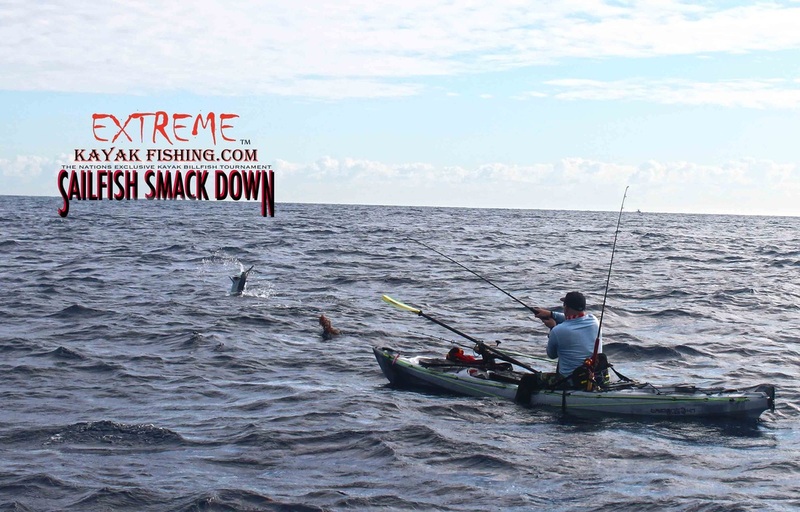 Other fish were hooked throughout the day, including a double sailfish hookup, but the angler lost both fish. 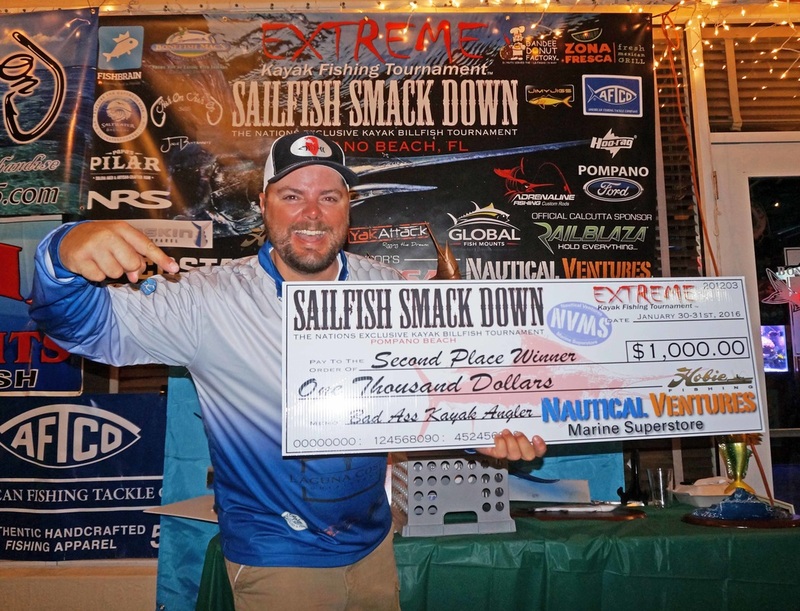 After the valiant effort by all anglers on day two, in the end Venarchick secured the winning spot. 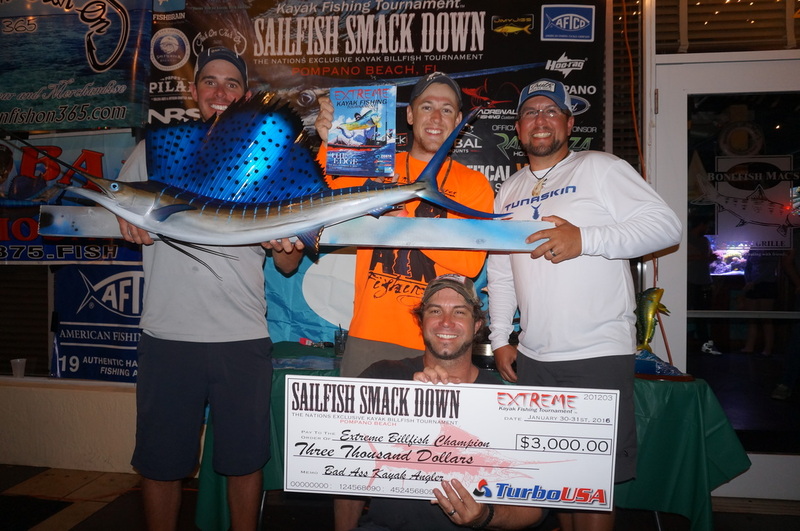 Jon Venarchick was $3,000 richer thanks to main sponsor Turbo USA. 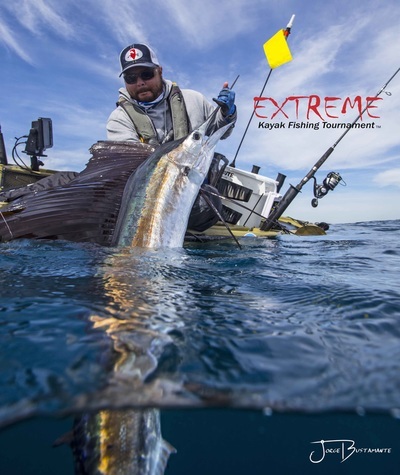 His accomplishment also earned him a brand new pair of Costa Del Mar sunglasses, $100 gift card from one of Extremes main sponsors Adrenaline Fishing Custom Rods, and a gorgeous sailfish mount trophy from Global Fish Mounts. 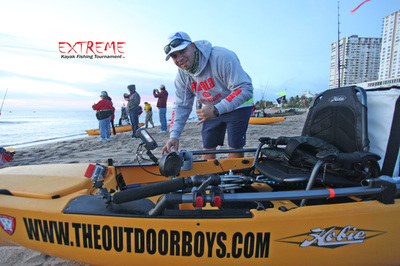 Second place went to Rob Rodriguez. 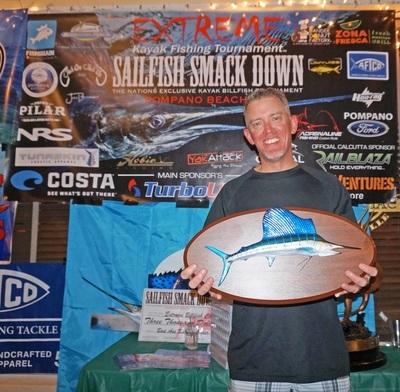 He collected up $1,000 donated by Nautical Ventures, a pair of Costas, and a plaque from Global Fish Mounts. Third place went to Joe Kraatz, who earned $500 donated by Nautical Ventures, and a new pair of Costas. Brian Whelan came in fourth, and received a pair Costas, while Lynn Hall was awarded a beautiful painting by Peter Agardy and donated by Saltwater Brewery for finishing in fifth place. 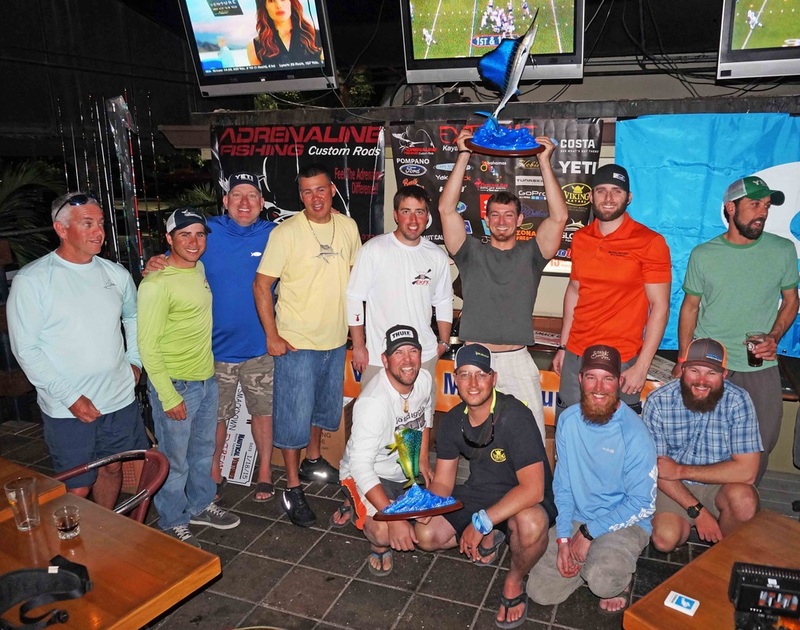 Vegas odds makers missed a golden opportunity last week as a pair of Oklahoma kayak bass fishermen entered the nation’s first offshore sailfish tournament — and won. 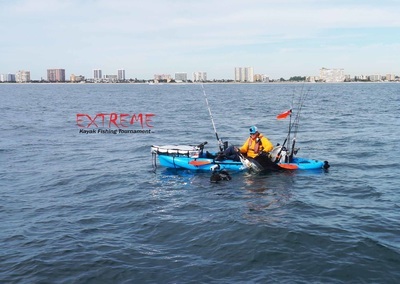 ﻿Broken Arrow firefighter Chris Thomas and friend Ryan Jones of OKC Kayak in Oklahoma City took first and second place, respectively, in the Extreme Kayak Fishing Sailfish Smack Down at Pompano Beach, Fla. on Jan. 25-26. 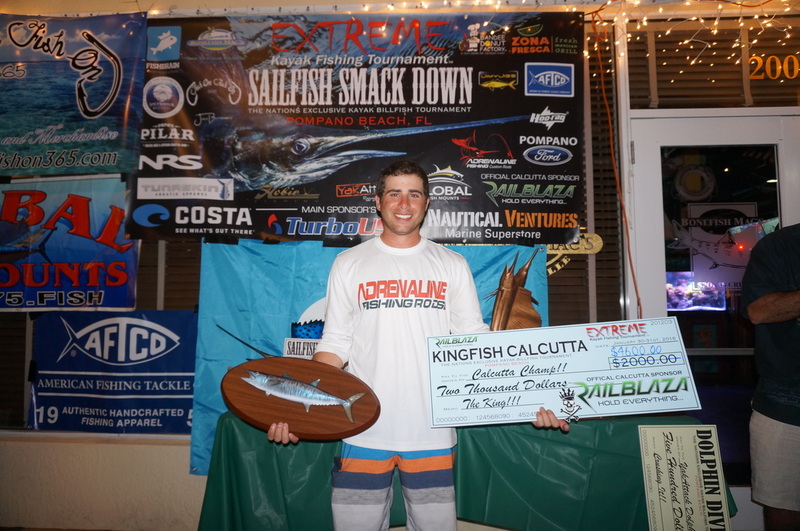 Thomas landed a nice trophy, $3,000 and some Costa sunglasses. 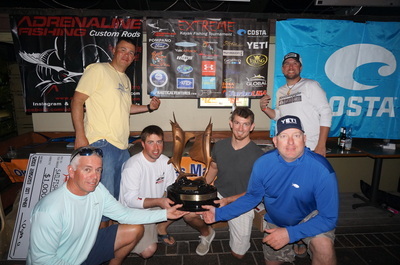 Jones brought in $1,000 and some Costa shades. 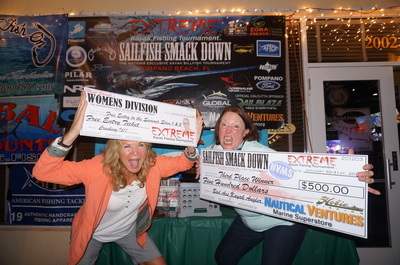 The prizes were secondary to the experience, however. 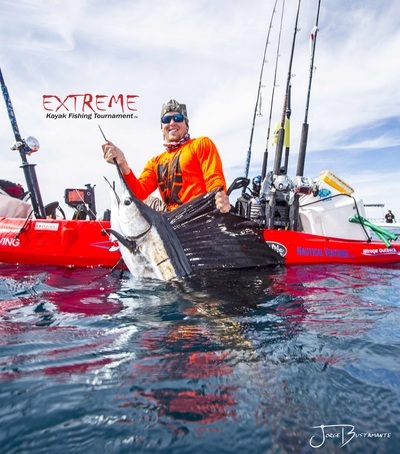 It was a first sailfish for Thomas and a first time fishing offshore, ever, for Jones. Thomas often fishes Texas offshore waters, but it's hard to find a sailfish down there, so he has had his eye on the Florida coast. 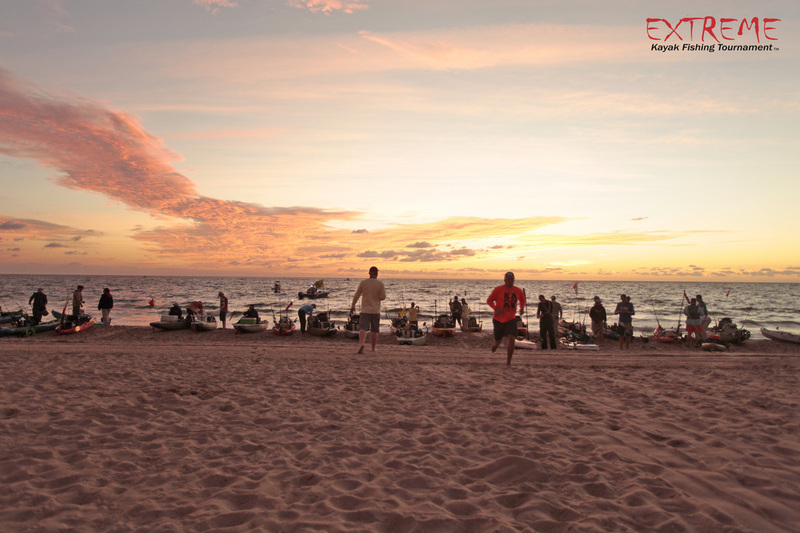 The tournament came along as an off-chance opportunity and, as Thomas put it, "we accidentally won it. "Entering a tournament seemed like a good way to learn. "I figured I could spend money and hire a guide or pay a $150 entry fee and fish with some of the best around," he said. 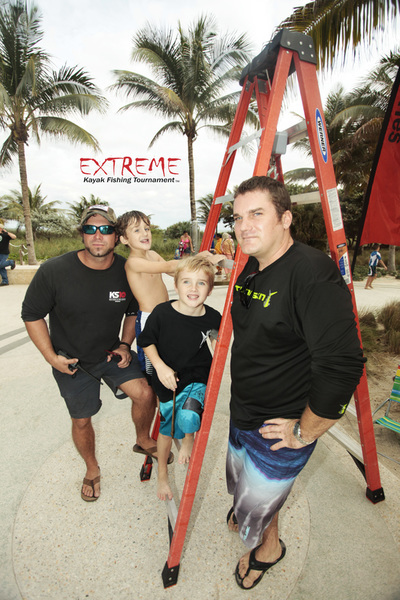 Thomas and Jones researched in advance and quizzed locals upon their arrival and went offshore before the Extreme Kayak Fishing Tournament to troll for king mackerel and use their electronics to scan the bottom for structures and depths. 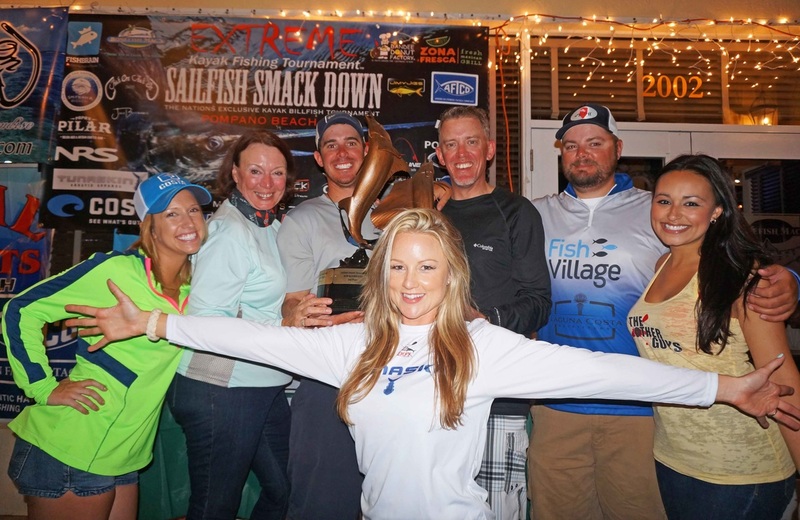 "We kind of pre-fished it like a bass tournament," Thomas said. While scouting they spotted sailfish "free jumping" and planned to return to that spot the next morning for the tournament. 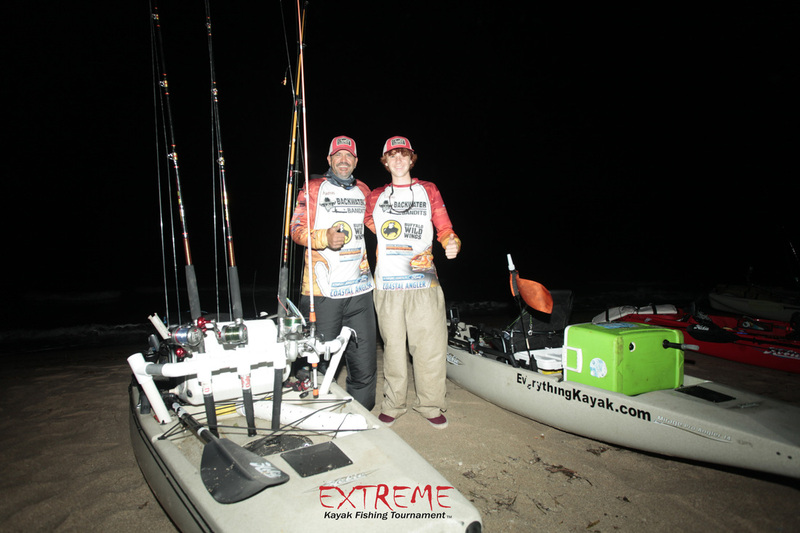 It paid off as Thomas hooked up first, then Jones. 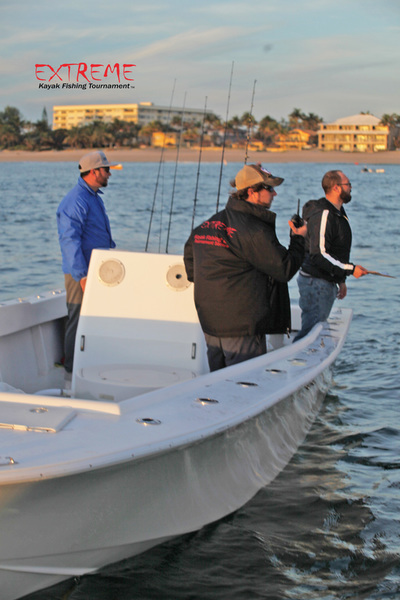 As the anglers catch the fish they are required to radio a help boat that documents the catch and takes the fish from the angler for safe release. The fish are not weighed or measured. 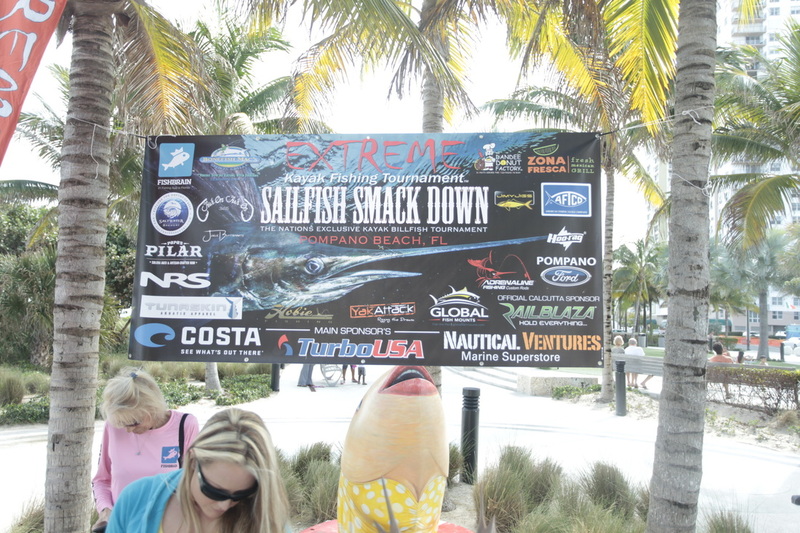 "The fish only comes out of the water for the picture," Thomas said. 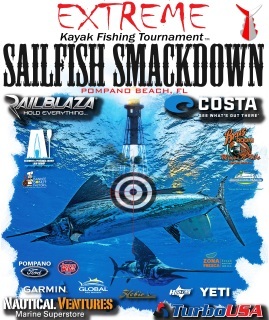 Winner of the tournament is determined by who catches the most fish. 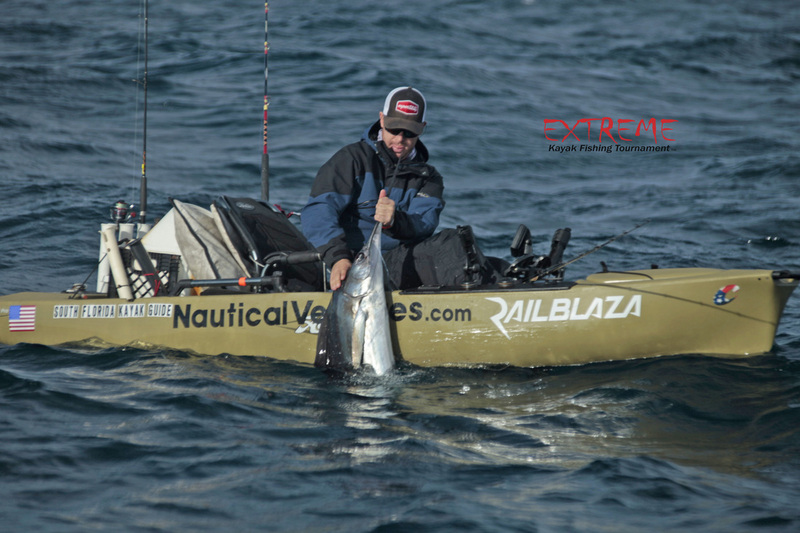 Twelve anglers in the tournament last week caught three fish on the weekend, "which I guess isn't bad for kayak anglers," Thomas said. 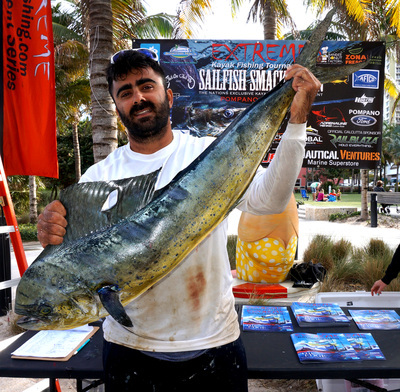 He won by virtue of being the first to land a fish. 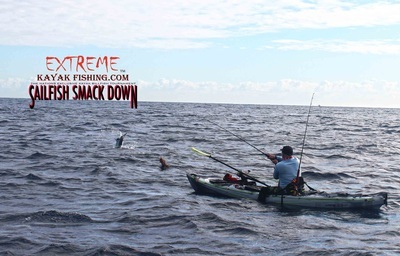 He almost caught a second sailfish, but it spit the hook, he said. 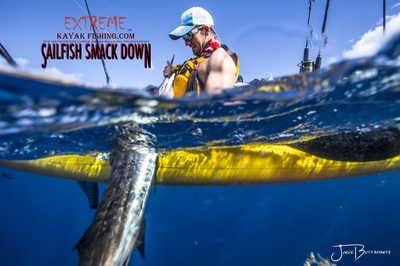 Sailfish are the fastest fish in the world and can swim up to 68 mph. 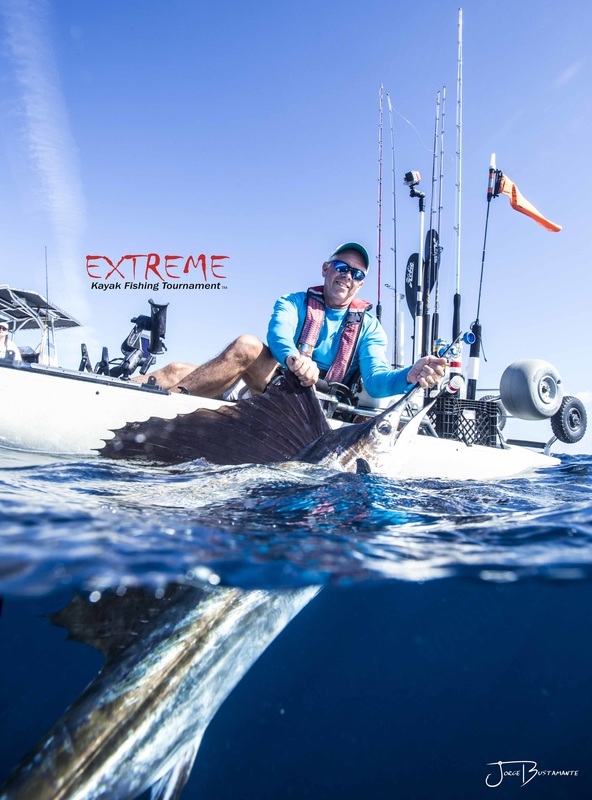 Thomas said his fight with a 30- to 40-pound sailfish lasted about 20 minutes and ended three-quarters of a mile from where it began. 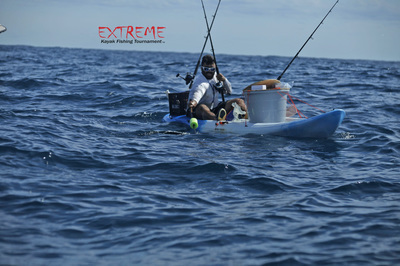 He described the fight as "a sleigh ride of a lifetime." 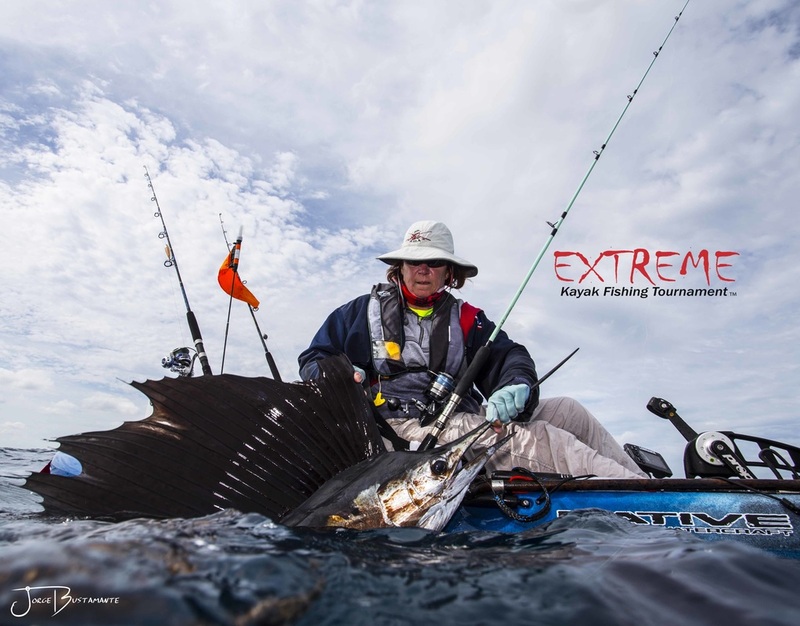 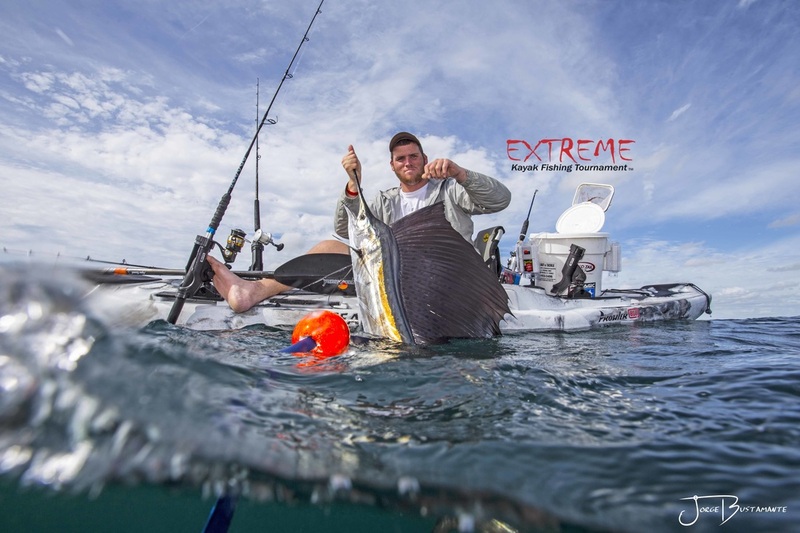 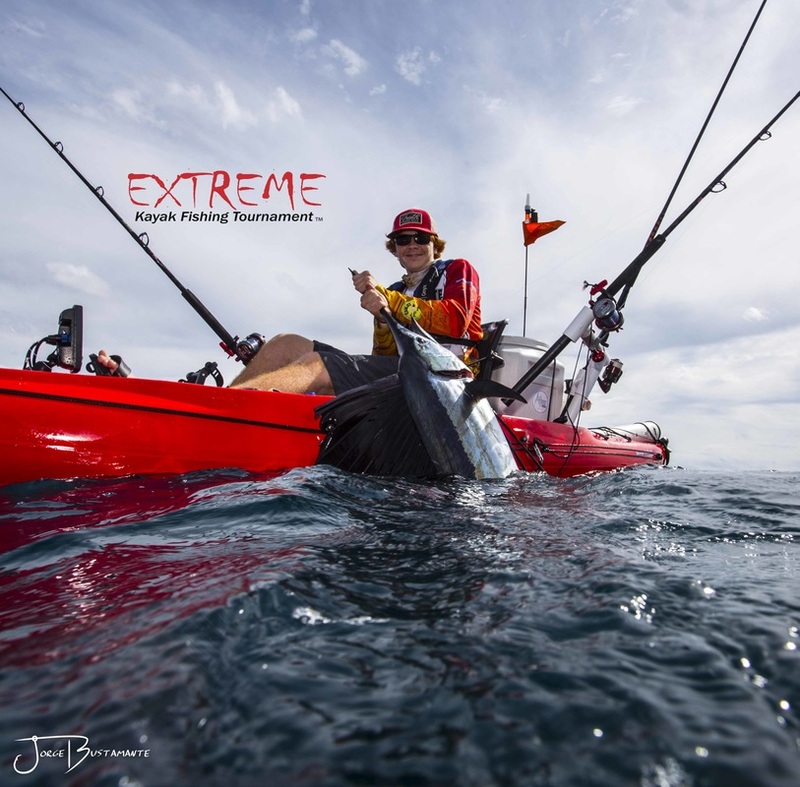 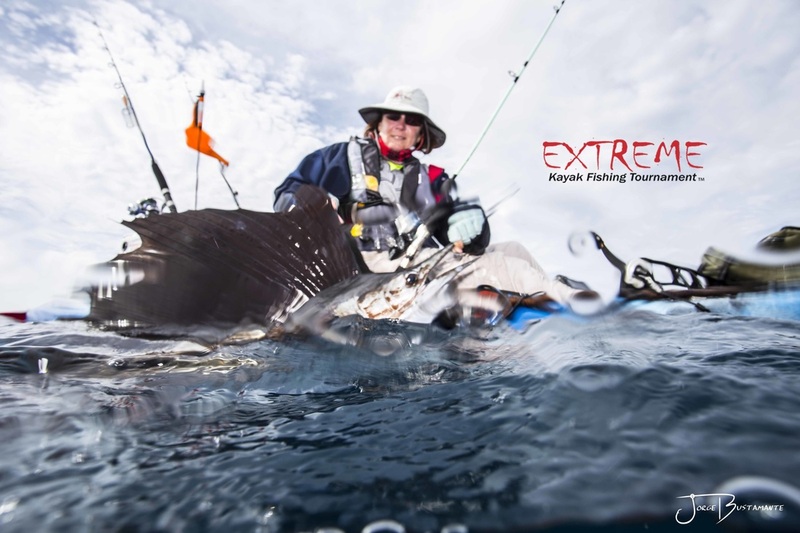 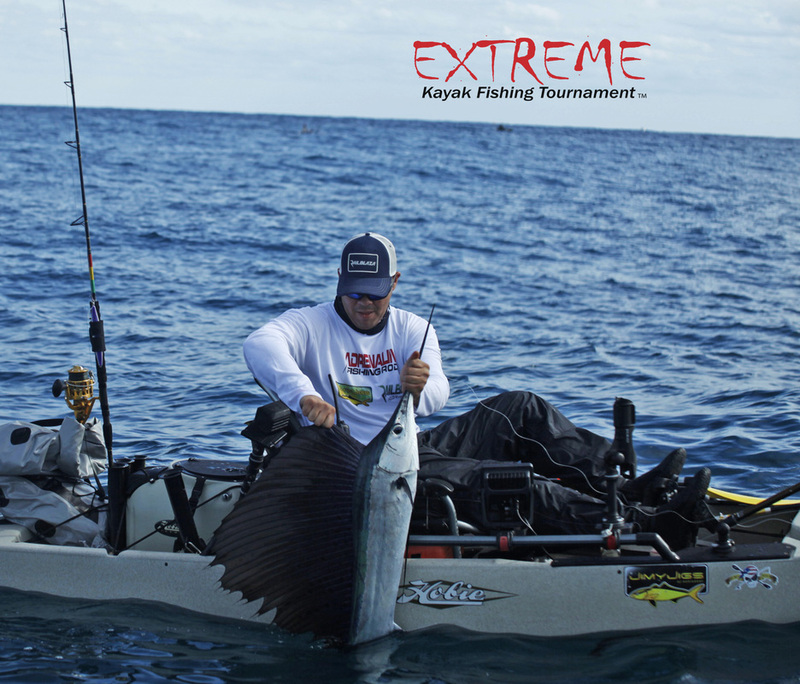 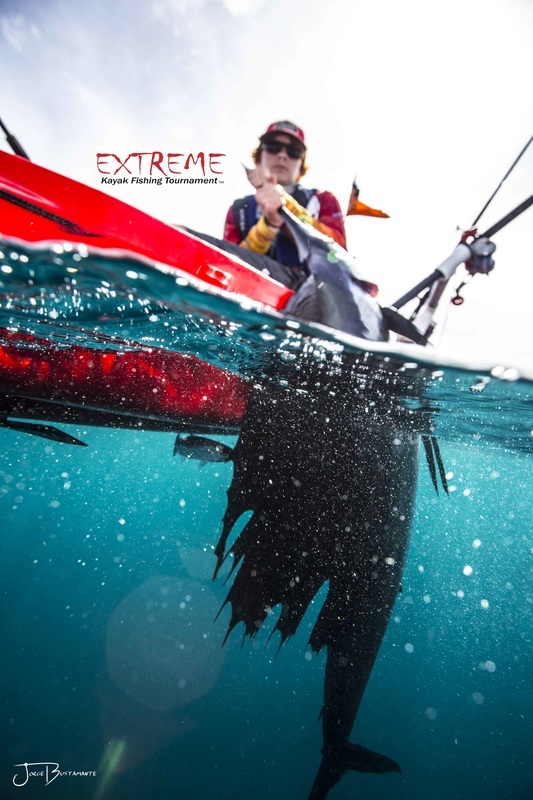 Extreme Kayak Fishing is the biggest offshore kayak tournament series in the country, said founder Joe Hector. 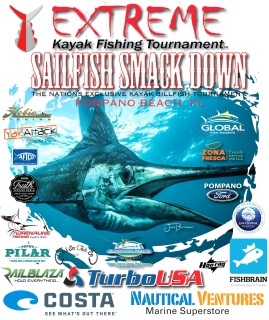 Their main summer series often has 150 to 200 entrants. 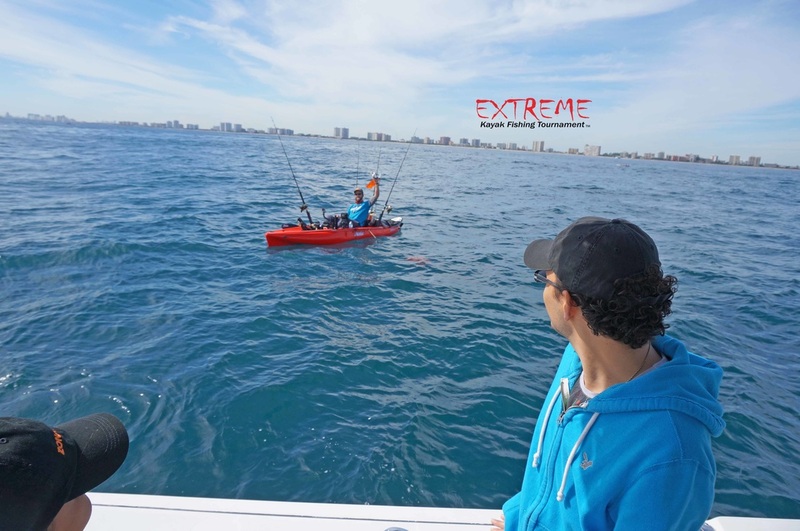 Radio chatter as Thomas hooked up relayed local anglers' feelings on the matter. 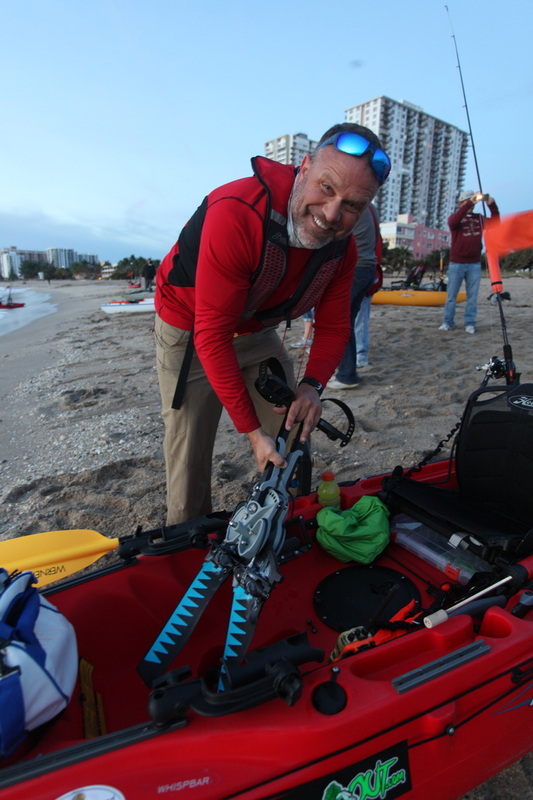 All the anglers carry VHF radios so all can hear it when the help boat is called, he said. "When Chris got on and said, "Oklahoma's hooked up" you heard guys moan, but Ryan, then when he called in "Oklahoma Two" the locals were cursing, 'Oh, crap! 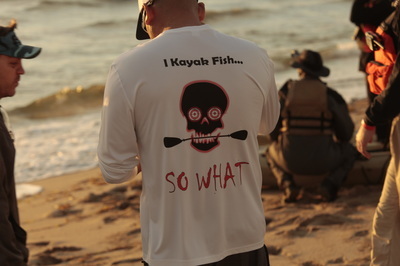 You gotta be kiddin' me!' We even asked him if he was joking and he said, 'No, I'm hooked up!' 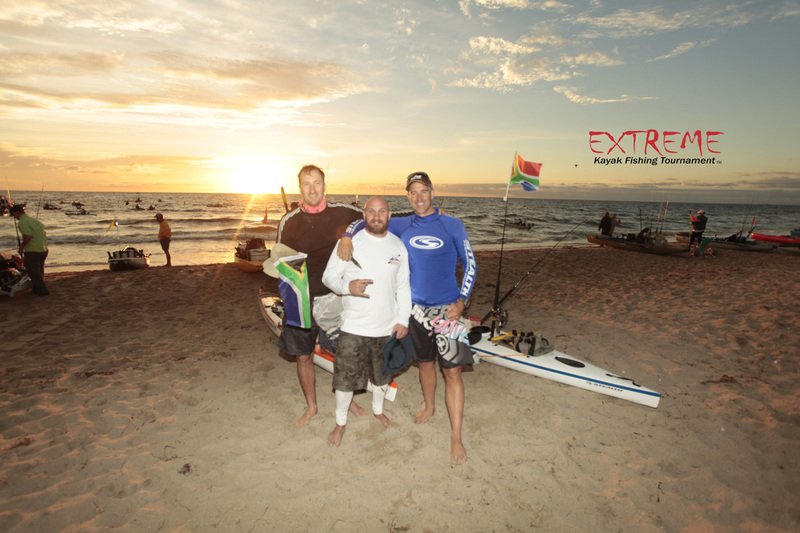 " Hector credited Thomas and Ryan for doing their research and listening to advice of locals and getting it done. "For them to come down and beat those guys, it was unbelievable and awesome," he said. ​"All I wanted to do on the trip was catch a sailfish and I did that," Thomas said. 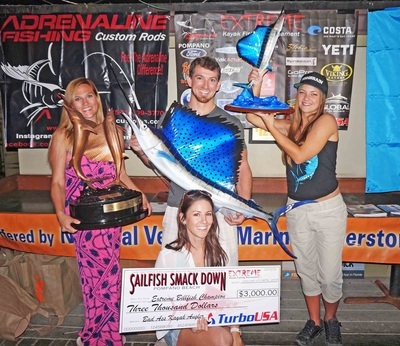 "And I got an incredible looking glass trophy."